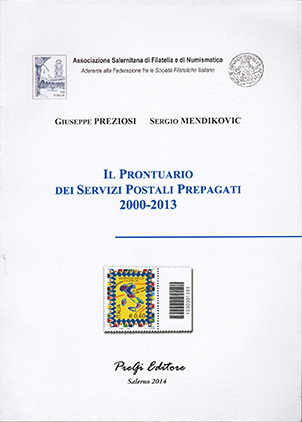 Brief description in English The monography describes the history of Priority mail service, supplied by the Italian Mail, from its start (December 01, 1997) up to the end in 2006. A part is dedicated to the special self-adhesive stamps issued up to 2008. 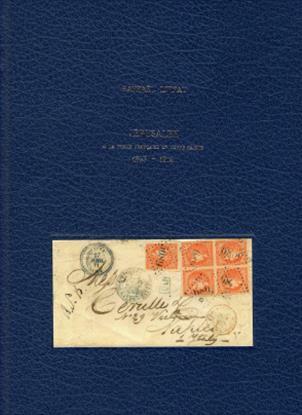 The monography covers both philatelic aspects and Postal History. 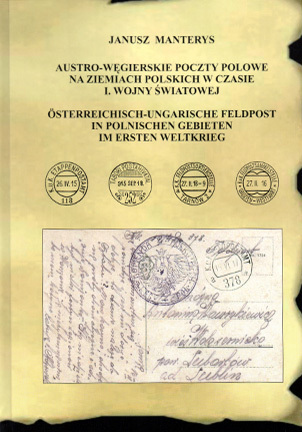 Brief description in English This book presents a postmarks used by over 300 field post offices and institutions providing postal service on the Polish lands. It also lists the location of the field post offices. The rarity of the postmarks mentioned above is given in points. 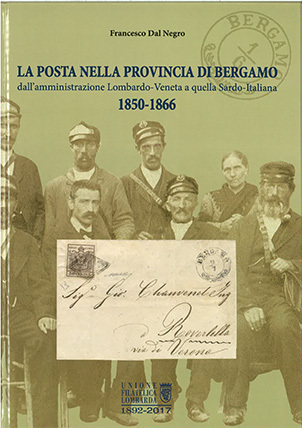 Titolo in inglese / Title in English The postal service in the province of Bergamo from the Lombardy-Venetian to the Sardinian-Italian administration 1850-1866. 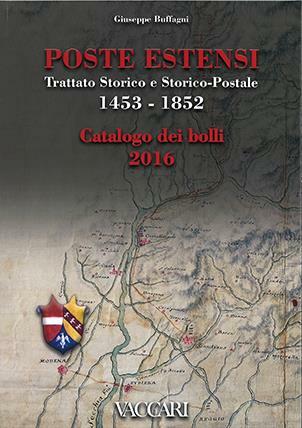 Brief description in English The book deals with the geographical, political and economic situation in the province of Bergamo, focussing on the postal service, in the transition from the Lombardy-Venetian administration to the Sardinian-Italian one. It lists, too, the post offices, and catalogues their postmarks. 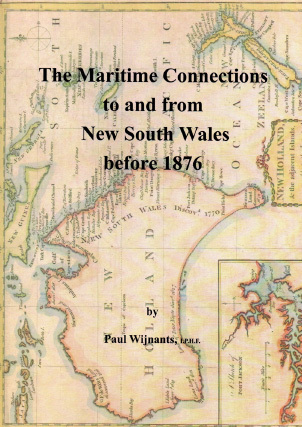 Brief description in English The maritime postal history of New South Wales from its establishment in 1788 to the start of the General Postal Union in 1876. 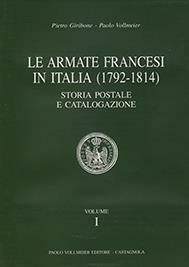 Brief description in English This encyclopaedic work contextualizes the postal history of the French Forces in Italy during the Revolutionary and Napoleonic period. 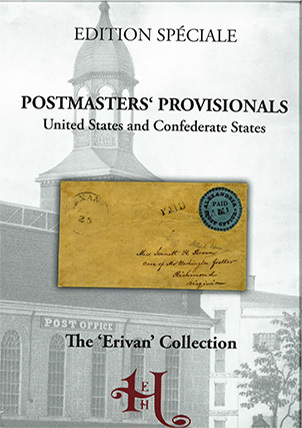 In a detailed historical and military framework, the authors deal with the postal history and provide, too, an exhaustive catalogue. 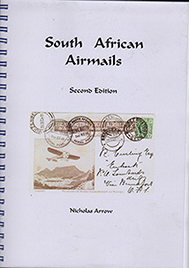 Brief description in English An outline of the Airmail services affecting South Africa, with a listing of aerophilatelic material flown to, from or through South Africa, for the period u; to 7th February 1994. 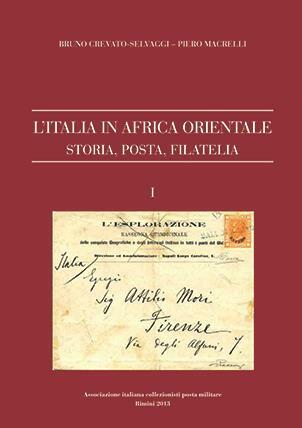 Brief description in English The development of the parcel post service in Italy from 1881 to 1914 trough the analysis of over 10,000 pages of official documents. First time publication of all rates for foreign countries. 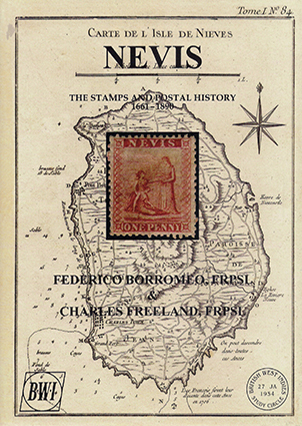 Brief description in English The book concerns the postal history of the West Indies island of Nevis, based on the studies of the authors, important researches in the London Archives, and the collections of the Royal Philatelic Society. Brief description in English Meteorological reports were posted in the period 1919-1920 in the area of fighting during the greater Poland uprising. Items posted from 36 villages were subject to censorship, which was carried out in place of posting or in another one. Number of different censor cancels inventoried. 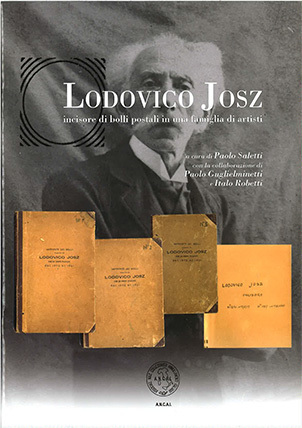 Brief description in English The book presents the contribution by Lodovico Josz to the development of Italian postmarking, while introducing the story of his family, too. The enclosed CD contains the scans of his notebooks where his production of postmarks (and not only) is summarised. 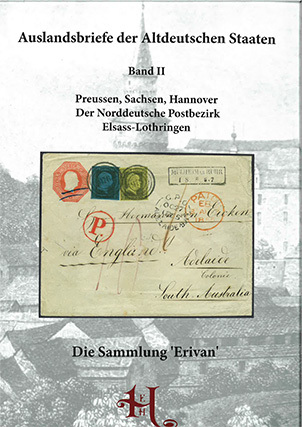 Brief description in English Catalogue in colour describing the production of Saxon postal stationery: from designs and proofs, essays, to printing and issues. Early and late usages are reported, as well as colour varieties and the use of the Saxon Franc-Couverts. Titolo in lingua originale Pullat e Republikës Autonome të Korçeë (Pullat dhe vulat origjinale, falsifikimet, gabimet dhe variacionet në shtypje, pullat fiskale). 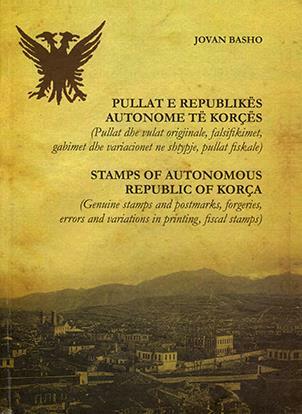 Brief description in English This book presents an in-depth study of the local stamps of the Republic of Korça issued under the French military administration from December 1916 to May 1918. 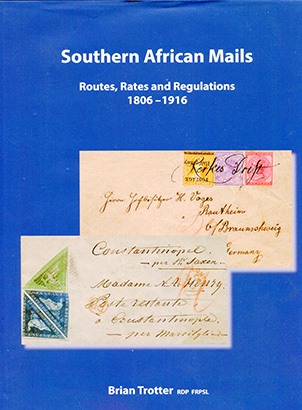 The author delves into original and fake stamps and seals, errors and printing variations, revenue stamps, etc. 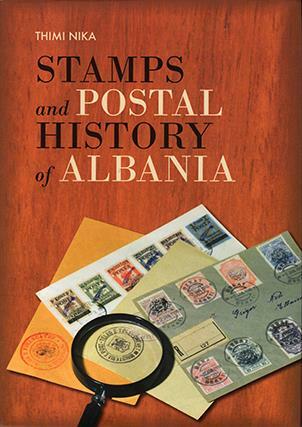 Brief description in English The book introduces the 100-year history of Albanian stamps 1913-2013. 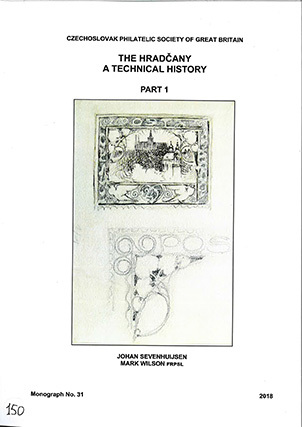 It is accompanied by rich documentation, previously unknown, as well as numerous illustrations. 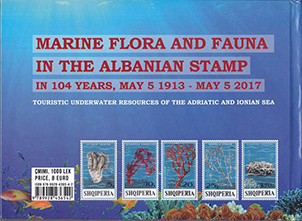 Its publication aims at relocating philatelic studies for Albanian philately to the country of origin. 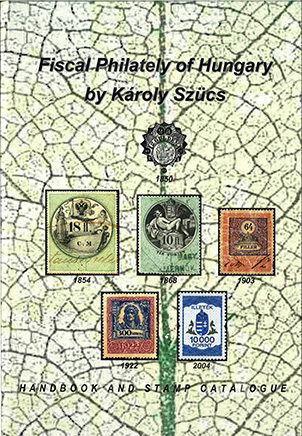 Brief description in English A special catalogue of postmarks of letter-collecting agencies, postal agencies and branch post offices of Hungary written in three languages: Hungarian, German and English. Besides the catalogue itself, it includes the history of these small agencies, the types of postmarks and the index of the agencies. Brief description in English After a general presentation of the evolution of special Italian cancels, the book lists the special and first day cancels of South Tyrol by place and year. It includes, too, the postmark of the coach and the car. Brief description in English After the WWII many Ukrainians ended up in Italy and Western part of Germany. They were placed in D.P. or P.O.W. camps, set up on the initiative of the United Nations. Some camps set up their own postal system. 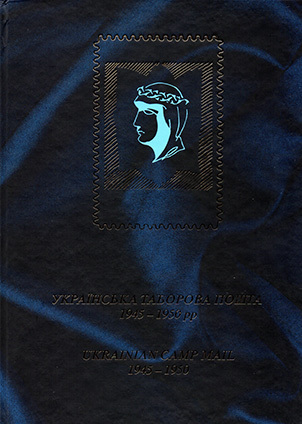 The book describes the postal service and philately in Ukrainian camps. 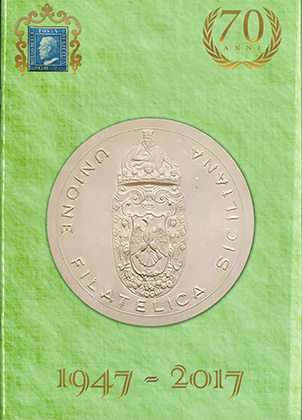 Brief description in English Description of the plates used to print the Sower stamps of Cilicia. For each sheet the varieties are considered. There is also an additional study on the white type. 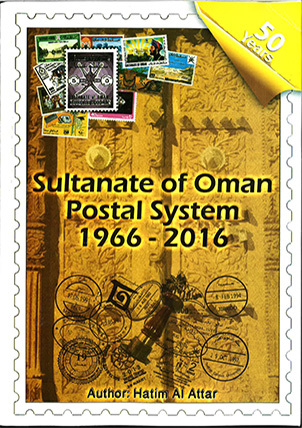 Brief description in English This book is published at the occasion of the celebrations the Golden Jubilee of Oman supervision the postal services in the Sultanate on 30 April 1966. The book aims to document all the postal markings used between 1966 and 2016, including information on the system used, the post offices. Brief description in English A comprehensive study of the military post in Kurland from October 1944 till the end of the war May 1945. With special emphazis on the civil post and the forgeries of the special letter delivery. Brief description in English The letter mail, the postal rates, the routes, the conventions and markings of foreign countries transiting the Roman States in the period from the Congress of Vienna (1815) to the introduction of the postage stamps in Rome in 1852. 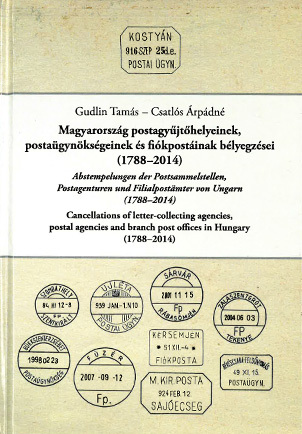 Brief description in English This work presents the study of perfins on postage and revenue stamps meant to prevent their theft from the stocks. 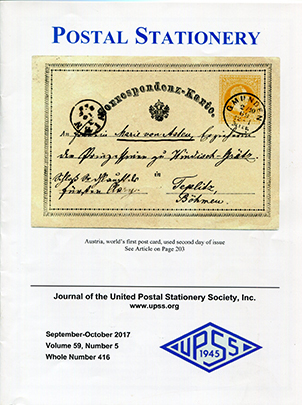 Their use correlated with the use of mecanical franking led to an important decrease of the quantity of stamps necessary for postal expeditions. 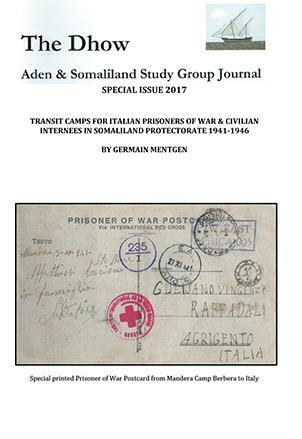 Brief description in English The transit camps for Italian prisoners in Somaliland Protectorate and the postal history of them. Titolo in inglese / Title in English "He left without leaving an address". 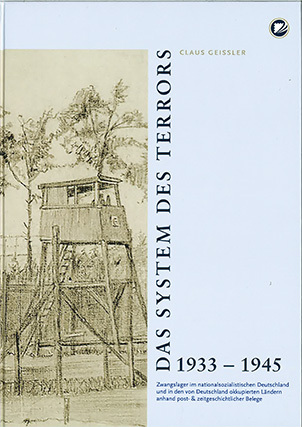 Postal records on persecution and terror in National Socialism. Brief description in English An investigation in the tradition of social philately. Themes i.a. : the rise of the Nazis to power in Germany, persecution of democrats and jews, emigration, expropiation of jews, annexation of Austria, pogrom of november 9, 1938, deportations. 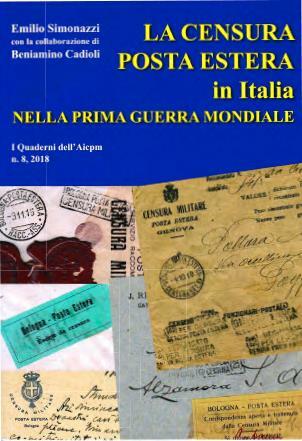 Brief description in English In this book the authors tell the story of the war from a social-philatelic perspective using covers, letters, pictures and documents. Brief description in English Investigation in the tradition of social philately. Themes: structure and development of the protectorate, czech forced labour, Theresienstadt, the czech family camp of Auschwitz-Birkenau; three interviews with survivors. Brief description in English History of Corsica. 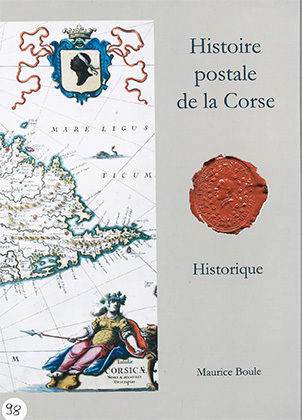 Postal history of France applied to Corsica from the origins to 1960 with the specificities of Corsica. All subjects are discussed and explained. Catalogue of known marks/cancels with rarity indices (+ 1000 color reproductions). 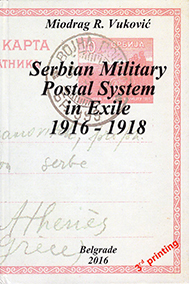 Brief description in English The main body of the book deals with historical, organizational and technical aspects of serbian military postal system in exile 1916-1918 on the island of corfu, at salonika front, in france, tunisia, russia, and italy. 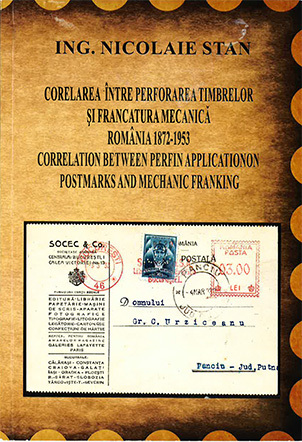 specialised catalog of postal and censor markings is given in two appendices. 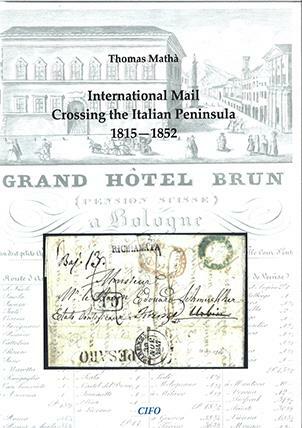 Brief description in English The postal reform of 1863 marked a turning point in the italian postal context. The birth of the kingdom of Italy compelled the legislator to elaborate a rule which, after all, would not displease anyone from north to south. 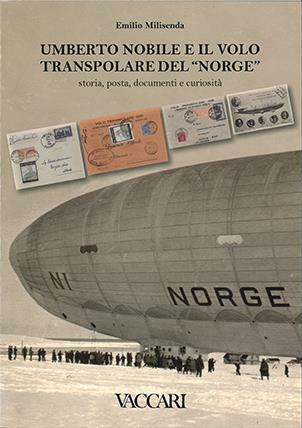 Titolo in lingua originale Umberto Nobile e il volo transpolare del "Norge"
Brief description in English This second edition introduces numerous changes compared to the first one. 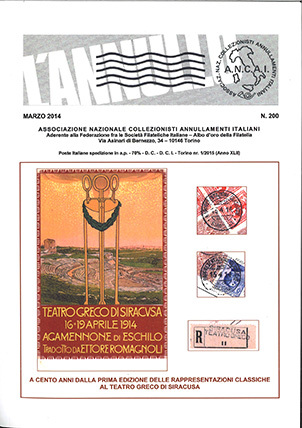 It is not a simple update of the squared circle postmarks of the kingdom of Italy (1890-1920), though it includes more than 1,200 new findings (now 8,204 postmarks are included in the catalogue). 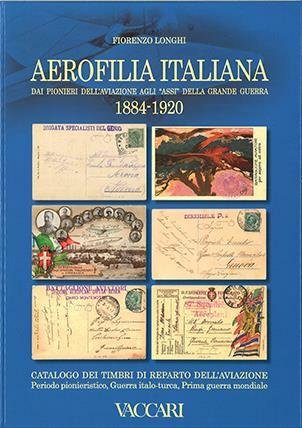 Brief description in English The historical descriptive catalogue of the Italian Air Force postmarks, with the foreword by Roberto Gentili, aircraft historian. 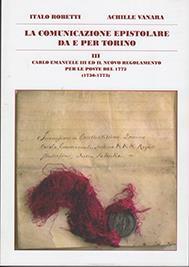 Titolo in inglese / Title in English The post in the Este territories history and postal history 1453-1852. 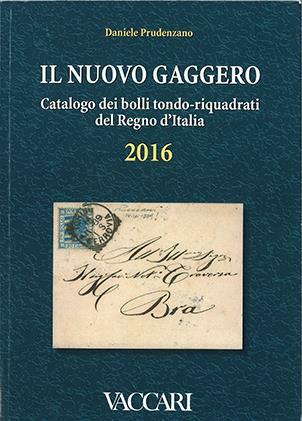 Catalogue of the postmarks 2016. 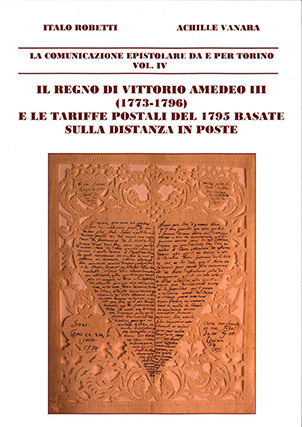 Brief description in English Following several new findings, the new edition of the Catalogue of marks relevant to the Este Duchy from the fourth volume of "the post in the Este territories and in the duchy of Modena. 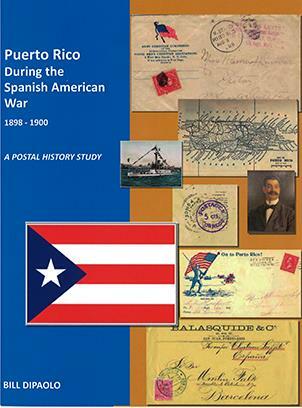 History and postal history 1453-1852". 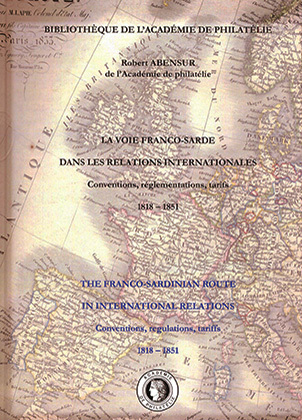 Brief description in English The book studies the postal relations between France and Sardinia and then all the transit which traverses this major european postal route (Italy, Southern Austria, the Ionian Islands, Ticino and Grisons, the United Kingdom, the Netherlands, Belgium, Spain, Portugal, Gibraltar, overseas countries. 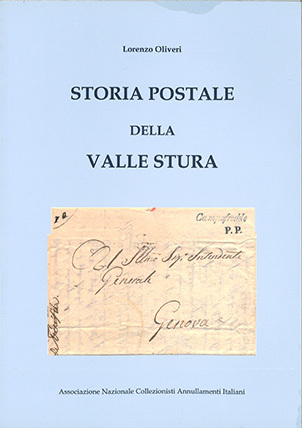 Brief description in English Full colour illustrated with the reproduction of letters, postcards and postmarks, the work describes thoroughly the development of postal services in Valle Stura (province of Genoa) from their beginning until today. This path sheds lights also on the socio-economical history of the territory. Brief description in English Overview of the military campaign listing all U.S. military units and ships; details of the development of the postal system including the local posts and a listing of all known postal markings. 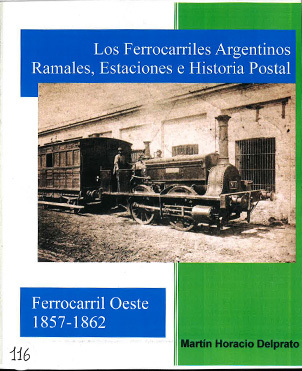 Brief description in English It tells about the origin, development and evolution of the western railway from the beginning of its gestation to the creation of the company of provincial railways of the state of Buenos Aires in 1872. 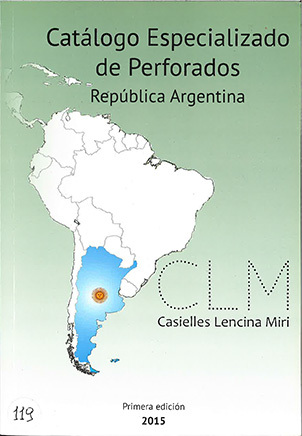 Brief description in English Description and development of commercial and official Perfin of Argentina. Studies on the perforations, sizes and quantity. Brief description in English The study is based on consular and diplomatic archives. 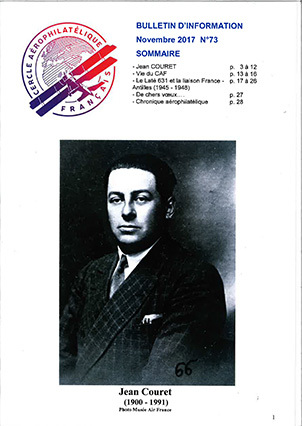 It tells the history and the activity of the French postal service in Jerusalem, some news being published for the first time. 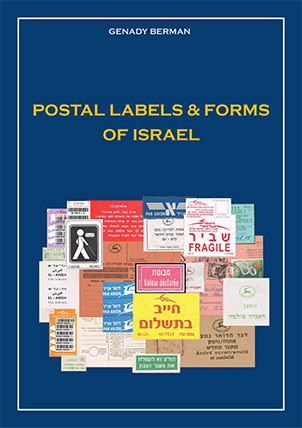 The study presents the postmarks, postage rates, the French and foreign shipping lines that had stopovers in Jaffa. 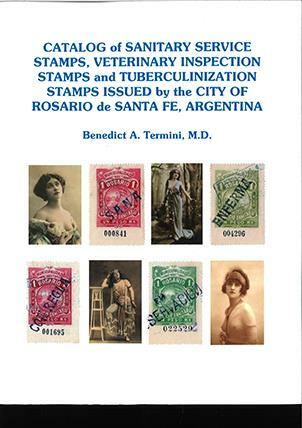 Brief description in English Sanitary stamps were issued by the city of Rosario in Argentina, between 1893 and 1928 to pay the fee for mandatory twice-weekly examinations of registered prostitutes. This lavishly colour illustrated catalogue includes all known varieties. A chi richiederlo / How to request it Benedict a. Termini, 8520 meadow brook drive Fort Worth, TX, USA, 76120-5204 termini@charter.net. will accept cash, check, or paypal. please include postage $3.50 (us) or $13.00 (non-us). 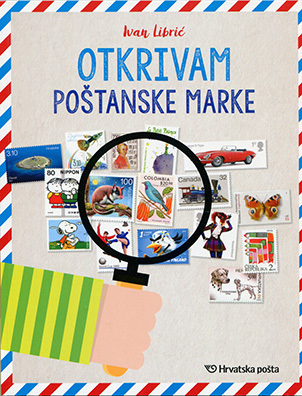 Brief description in English The publication (bilingual in Slovak and Hungarian) presents the results of the comparative research on the Hungarian and the Ruthenian wording on the two kinds of bilingual sticker labels of registered mail and post saving bank account booklets used in 102 postal points in Transcarpathia. A chi richiederlo / How to request it L. Perneczky pernec@aeki.kfki.hu H-1125 Budapest kutvölgyi ut 51. 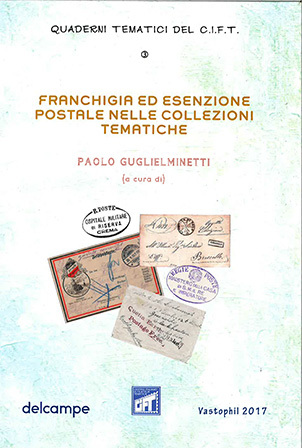 Brief description in English 2,200 years of italian postal history are examined in this volume in a compendium format aimed at those who have an interest in this often underestimated facet of socio-economic and communications history. 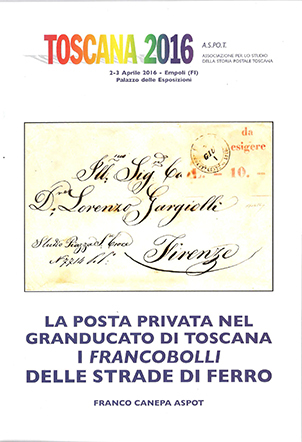 Brief description in English The main purpose of the work is providing an efficient handbook to the collectors of the stamps of the Grand Duchy of Tuscany: this is as detailed as possible, so that philatelists are allowed to learn and classify the recurring flaws accurately. Brief description in English A survey of the beginning of the history of Brazilian civil aviation with priority set up to the compostion of the printing plates, the different perforations and watermarks during the time and especially conc entrating on plate errors, printing failures and other varieties. 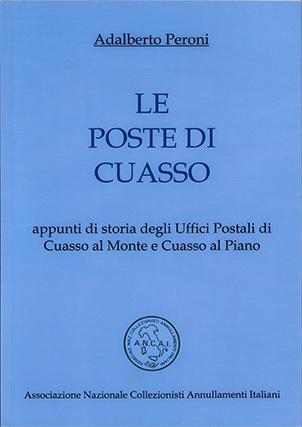 Brief description in English This work presents a detailed documentation of the postal service in Cuasso, through which it provides an analytical development of mail communication in Valceresio (province of Varese) from the beginning to nowadays. 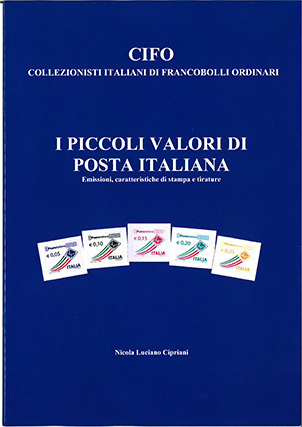 Brief description in English This volume provides the chronological list of all the special postmarks issued by Poste Italiane in 2012: each one is illustrated and described in detail. Brief description in English The history of the mail communication in Turin since the beginning, following the events and the rulers of the house of Savoy. The volume is enriched by about 500 images arranged in a historical framework where the rules about horse mail and letter mail are pointed out. 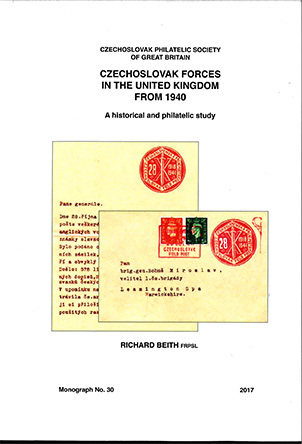 Brief description in English This study confronts published accounts of the production of the Czechoslovak Hradčany issue with evidence gathered by directly examining the stamps. It describes the implementation of the issue's several designs and clarifies printing sequences, correcting and amplifying the current literature. 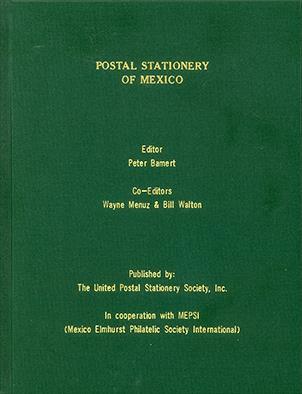 Brief description in English Priced catalog of the postal stationery of Mexico. Titolo in inglese / Title in English Mail Disinfection in France and Occupied Countries. History, regulations, lazarettos, practices. Brief description in English Mail disinfection is considered here in truly historical perspective. This is why this book integrates historical account, medical knowledge of the corresponding periods, and sociological data of the time. These data are illustrated with documents of the author collected over more than 30 years. 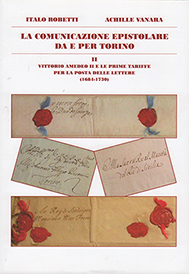 Brief description in English This second volume of the history of epistolary communication in Turin describes the time when Vittorio Amedeo II, Duke of Savoy, enacted the first postal rates for letters, firstly as King of Sicily and then as King of Sardinia. It includes about 500 colour illustrations of relevant documents. 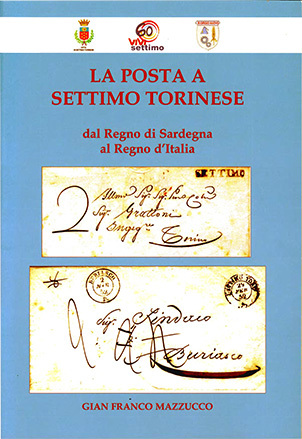 Brief description in English Following the path started with the former two volumes, this work analyzes the huge development of the postal service in Turin during the long kingdom of Carlo Emanuele III. The volume focuses both on the most relevant postal documents (fully illustrated) and on the political and historical events of the time. 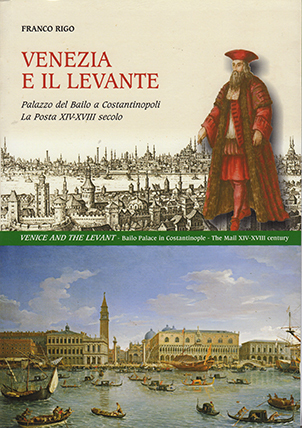 Brief description in English The fourth volume of the series describes the kingdom of Vittorio Amedeo III and the postal reforms that took place in that time, starting with a new revolutionary criterion, i.e. the distance to calculate postage. The work is enriched with almost 500 images. Brief description in English In the first brochure one finds all musical instruments, their history, etc. whereas in the second brochure there are the web tools (examples of music, methods for teachers and interactive music games). Brief description in English In Greek language with contents in English. Brief description in English Greek language with contents in English. 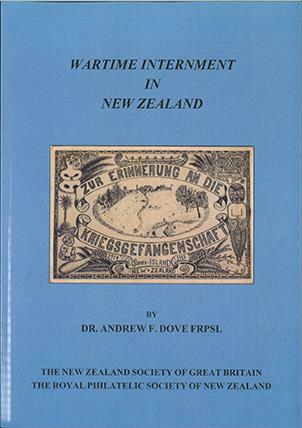 Brief description in English A postal and Social History of aliens, dangerous citizens and Prisoners of War interned in New Zealand during the First and Second World Wars. Includes a census of identified known material. It also contains the results of original research in the New Zealand National Archives. Brief description in English An outline of the history followed by a full listing of the post offices and their postmarks. The conquest of Ethiopia; the Empire; the second World War in the Empire; conclusions. Chronological data for each office, reproduction of all known postmarks, a selection of letters. Brief description in English An outline of the history followed by a full listing of the post offices and their postmarks. Eritrea; the 1895-96 campaign; Somalia; Jubaland; Ethiopia and the other Somali territories. Chronological data for each office, reproduction of all known postmarks, a selection of letters. Brief description in English A full listing of the post offices and their postmarks, with their values. Prezzo / Price Allegato al volume 2. Brief description in English The volume deals with the offices to censor the mail from and to abroad: Bologna, Bologna sezione di Rimini, Milano, Genova, Campione, Ponte Chiasso, Valona, Trieste. 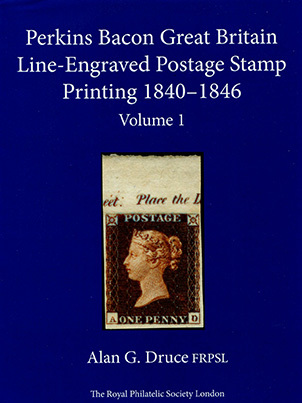 A catalogue of the post offices and their postmarks, with a selection of letters. A chi richiederlo / How to request it livnar@hotmail.fr 49 € soft binding, 85 € hardbound binding. Payment by Paypal. Brief description in English The book contains research papers of 15 authors to be presented at the International Symposium on Chainbreakers, October 2018 in Ljubljana. Papers are printed in Slovenian and in the original language (English and German). 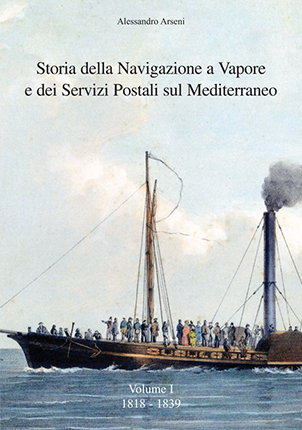 Brief description in English The work regarding the conveyance of mail by steamships on the Mediterranean sea between 1818 and 1850. The three volumes relies on 58,500 dates of departure and arrival of all steamships and about 250 described covers. Lines are treated as the transits at Italian, French, Spanish and English ports. A chi richiederlo / How to request it info@thepostalgazette.com. 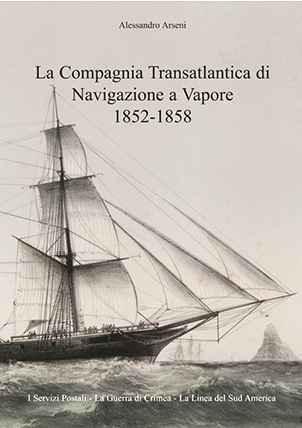 Brief description in English The Company created by Raffaele Rubattino for the transport of Italian and European emigrants to South America in the mid-nineteenth century. The service of its ships to the Crimean War, the timetables, the ports of transit, the postal services, the laws and the decrees that regulated the activity. 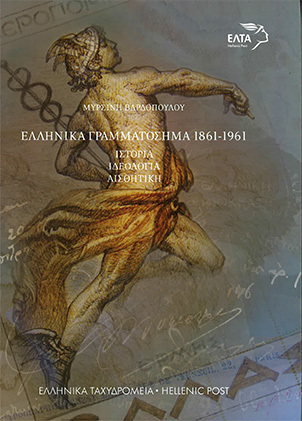 Brief description in English After five years of meticulous research in archives, this book was ready for publication. As well as the Perkins Bacon Records and the Postal Museum, many hours have been spent looking at primary sources in the British Library, the Victoria & Albert Museum and the National Archives at Kew. 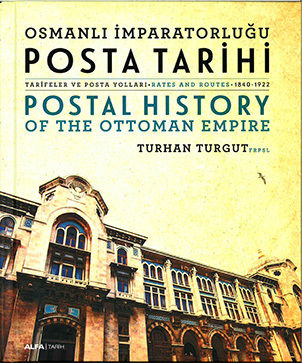 Brief description in English The book describes the early establishment of a postal system at the beginning of the 18th century by Thurn & Taxis and shows the transition to the French postal regime during the Napoleonic period. 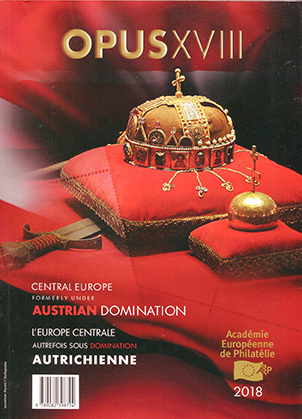 The book ends with the short interim period under Thurn & Taxis after the Congress of Vienna. 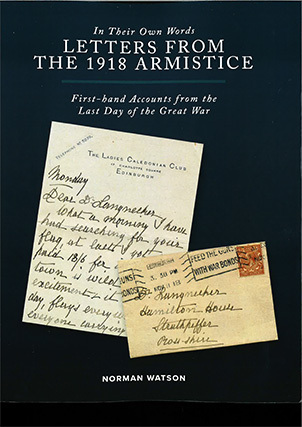 Brief description in English This is a book and catalogue of an outstanding collection of letters with original envelopes from, or around, November 11, 1918. The precious words of the soldiers and families in the final hours of the Great War offer a wonderfully vivid record of those who were there and took part. A chi richiederlo / How to request it Via the author's home address. 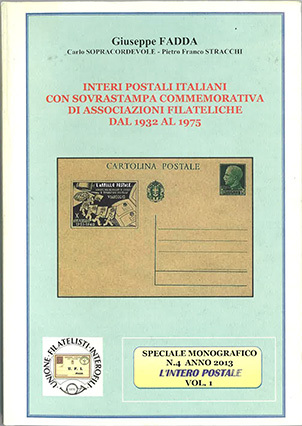 Brief description in English Catalogue of the Italian Postal stationery with private "repiquages" by philatelic associations from 1932 to 1975. 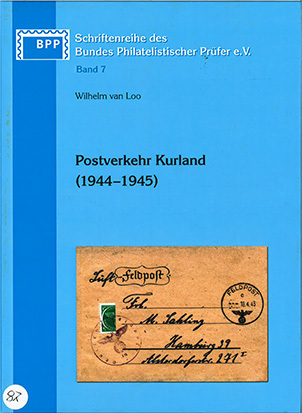 Brief description in English For the first time a handbook/catalogue (with valuations) of the Deutsche Dienstpost Niederlande has been published in Dutch and in German. 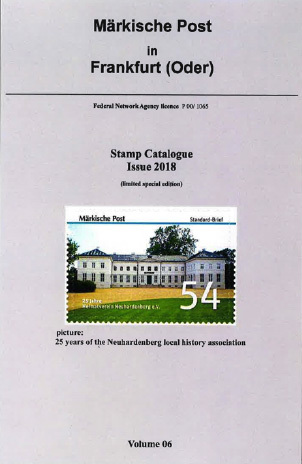 The catalogue has a complete new numbering for German stamps with postmarks of the Deutsche Dienstpost Niederlande or postmarks of the Dutch PTT. Brief description in English Envelopes, letters and documents relating to the postal service. 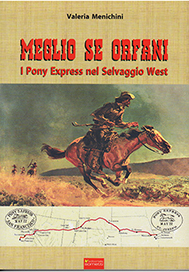 Documents concerning the agreements between the Post Office and the Settimo-Rivarolo horse-drawn railway. 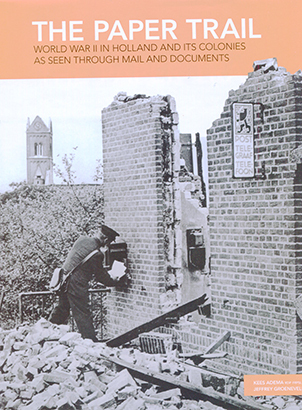 Brief description in English The book offers collectors a valuable tool to learn more about some difficult aspects of the postal history of this period: it follows the outline of the author's exhibit. 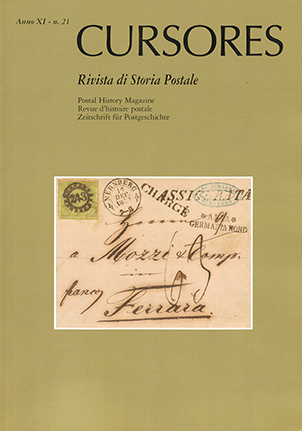 Brief description in English The 5, 10, 15, 20 and 25 cents stamps of the definitive issue "Posta Italiana" are described, in particular the differences between the various reprints are highlighted as well as the statistical estimate of the issued items. The second part of the study describes the forgeries and their difference. 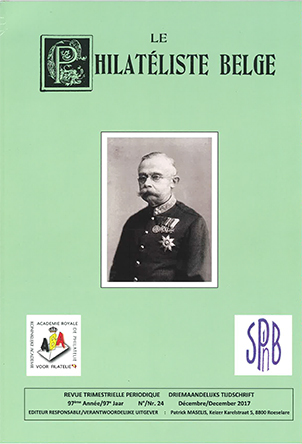 Brief description in English Catalogue and handbook about signets and adhesive revenues used in Hungary from 1850 until today. 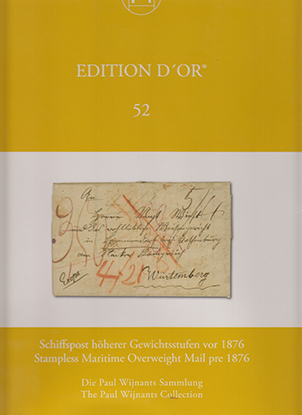 The recent 5th edition is the first available in English. This is not a simple correction and translation, because of more than hundred new pages were added with many original philatelic results. 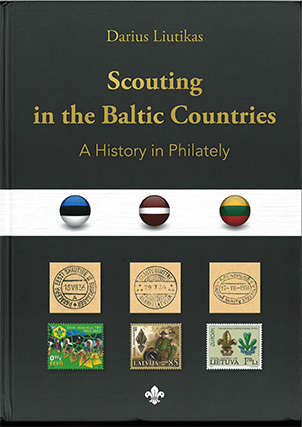 Brief description in English The book presents the history of the Scout Movement in Estonia, Latvia and Lithuania. The main Scout and Guide Jamborees in the Homeland and in Exile are described. More than 1,000 illustrations including postage stamps, souvenir sheets, covers. A chi richiederlo / How to request it darius.liutikas@gmail.com. Shipping costs to Europe - 10 Eur (registered mail - 14 Eur). 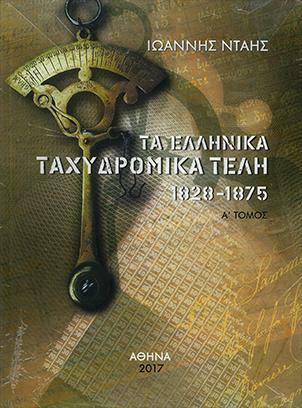 Brief description in English It is the first work that adopts an overview of Greek stamps through the political, social and historical context of the considered period, highlighting the way in which they function as historical documents and viewing them through the prism of public art and their contribution to aesthetic education. 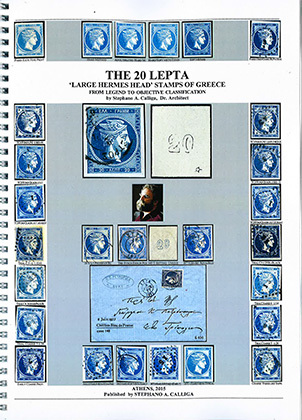 Brief description in English Specialised study on the 20 lepta value of the Large Hermes Head with the new settings of July 1872 and the 1875-80 period. Presentation and revaluation of the resurfaced and annotated Ulysse Bellas specialised collection and the pertaining treatise of 1978. 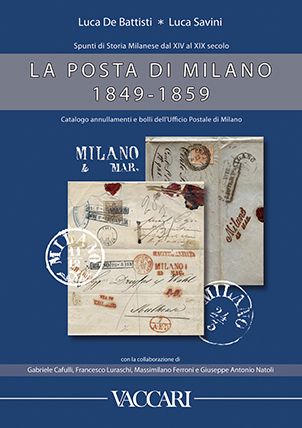 Brief description in English Catalogue (rarity scale) of Lombardy Venetia postmarks in Milan Post Office, from the introduction of postage stamps to the liberation in 1859. 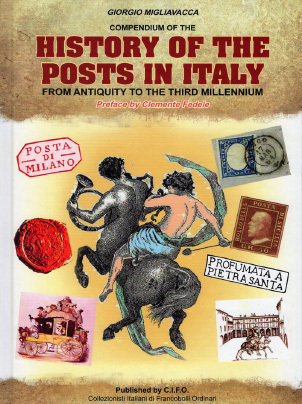 Moreover, Milan postal history from its origins, the postal reform, first and second issue stamps, insights, a historical overview. 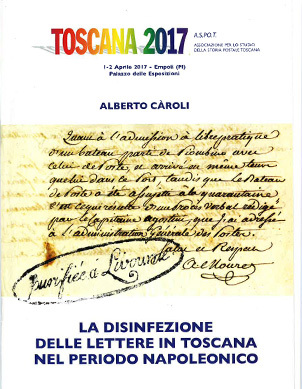 Brief description in English This work is about the disinfection of mail in Tuscany, in particular at the time of the yellow fever at Leghorn in 1804-1805. 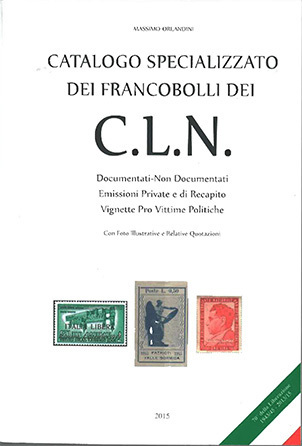 It describes the efforts to contain and prevent the infection, by regulating the passage through Tuscan borders of people, animals, goods and letters. 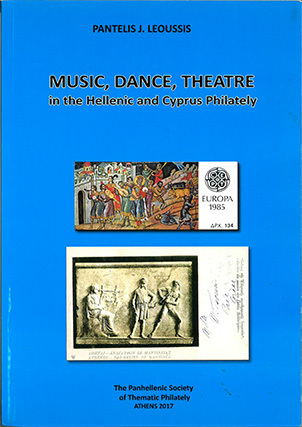 Brief description in English All kinds of Greek and Cypriot philatelic material regarding music, theatre and dance, including a wide encyclopedia, the topics of which cover all the reported issues. Brief description in English The volume is like a handbook for modern issues. 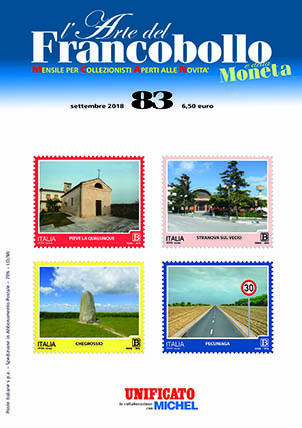 The tome does not consider only postage stamps, but also the prepaid or pre-franked innovative products created by Poste Italiane. For each item it presents the pictures, the special first day postmark, a technical description and the barcode. Brief description in English The second volume, besides the analysis of what was issued in 2014 and 2015, presents the corrigendum of the errors published in the first book and a table of decrees published in the Official Gazette, which are completely reproduced and so made readily available in an attached DVD. Brief description in English Opus is the annual publication of AEP with high quality articles and studies. 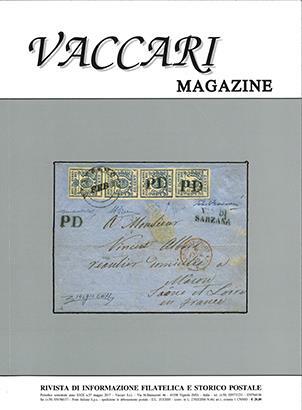 Each issue presents a central theme related to the philatelic or historical context. 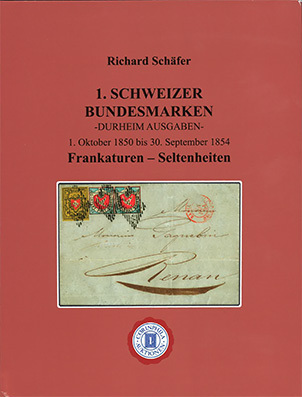 Brief description in English Comprehensive study of the formation of Switzerland's first Federal Postal system, documenting the first issued stamps and their application on domestic and foreign letter mail from 1. October 1850 to 30 September 1854. 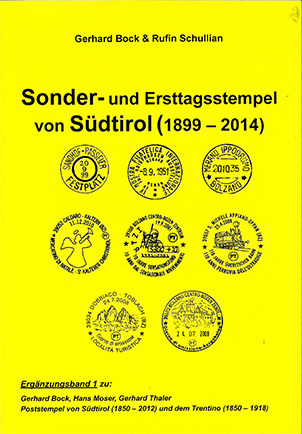 A handbook about the Swiss Federal Stamps, the so called 'Durheim' issues. 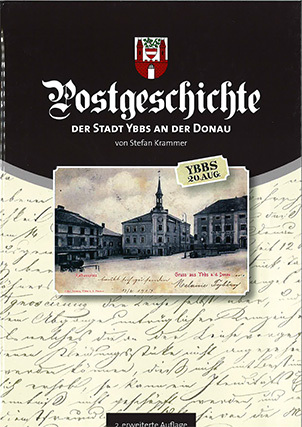 Titolo in inglese / Title in English The Polish Post in the Free City of Danzig 1920 - 1939. IV Handstamps, forms and labels. 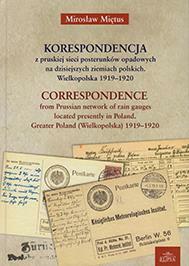 Brief description in English The book describes the use of handstamps, forms and labels in the 3 Polish Post Offices that Poland had been allowed to establish in the Free City of Danzig between the two world wars. 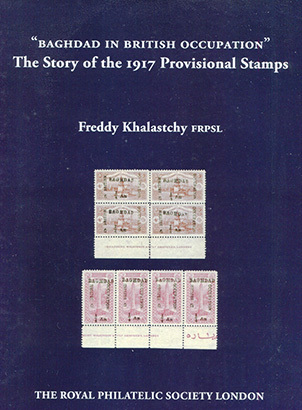 Brief description in English Stamp catalogue recession. 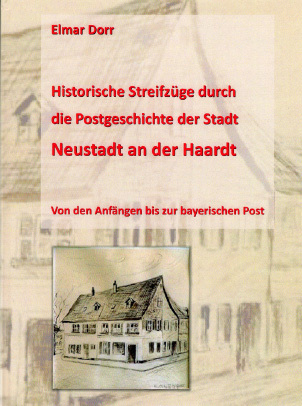 The introduced stamp catalogue belongs to a published series of 10 catalogues, a periodical with the name of “Privatpost in Ostbrandenburg”. 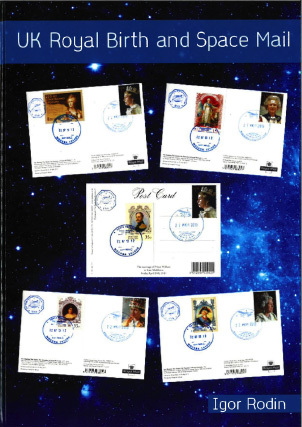 A very successful series, which has been laboriously investigated and compactly edited, is now available for all stamp collectors. 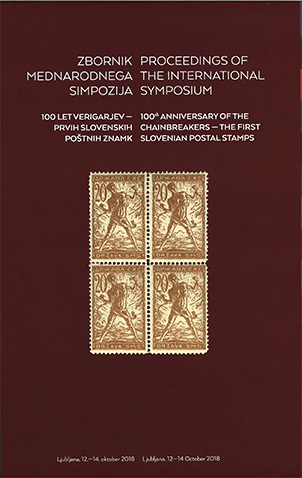 Brief description in English Book over first Slovenian stamps issue named "Chainbreakers" from Essay to final stamp with all specialties (paper and color variations, perforation variations, etc. 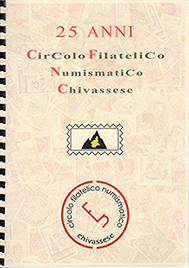 ), with reconstruction of printing sheets for 15 vin stamps, with special Catalog for perforated and unperforated stamps of this issue. Brief description in English The story of the famed race to the Moon between the US and the USSR has been told countless times. This book provides a new perspective of the history of the space race by analyzing that history through philately - that is, from the images on postage stamps, post cards, and letters. 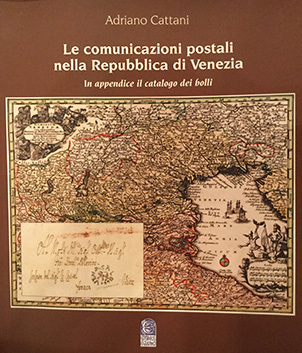 Brief description in English The organization of the Venetian mail service since the beginning to the Republic's fall and its involvments in the Venetian society. Brief description in English All useful information for a new thematic collector. 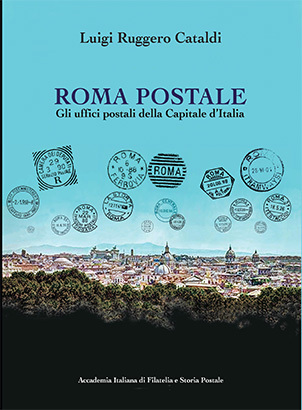 Brief description in English The book, composed of 11 chapters, illustrates the history of all the post offices of Rome from 1870 to date. Brief description in English This is written in both Turkish and English. Turkish Philately has been lacking a fully comprehensive body of information relating to postal tariffs during the ottoman era. With the help of 530 illustrations and 8 maps this study attempts to fill this gap. 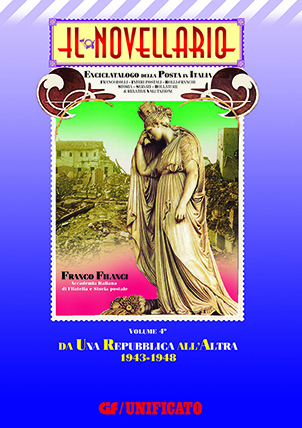 Brief description in English The book remembers the first 70 years of the philatelic association, which had members such as Nino Aquila and Francesco Orlando, and now has members such as Francesco Lombardo etc. 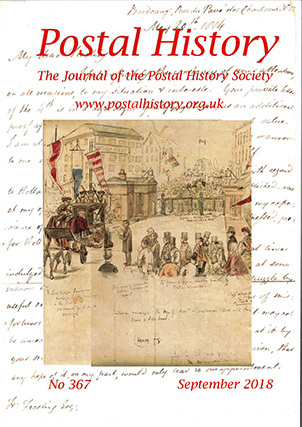 It includes six articles on postal history and a gallery of photos. Titolo in inglese / Title in English Catalogues of the joint stamp issues of Polish Post. 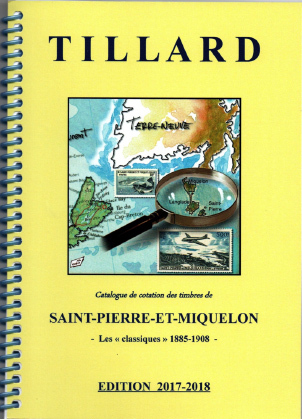 Brief description in English The catalogue is colour illustrated. 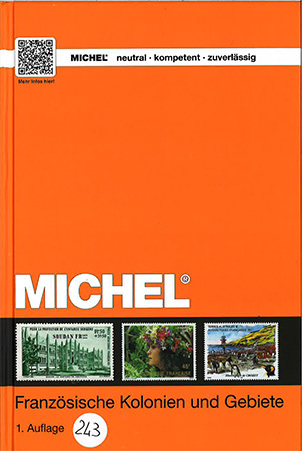 Each joint stamp issue is described by pictures of stamps, envelopes, FDCs and other philatelic products, like folders, booklets, etc. 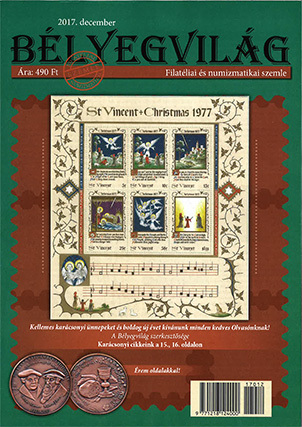 All the data about the Polish stamps and the joint ones are specified, along with a description of the background. Brief description in English On the occasion of the 50th anniversary of the Circle, the main events are organized through annotations, meter cancels, postcards and publications. 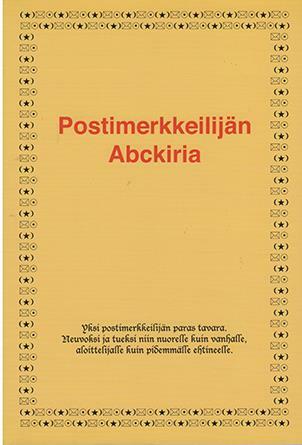 Brief description in English Health education through messages transmitted by stamps and postmarks exposed in 4 Chapters - First chapter: Symbolism, definition, more frequent tumor locations, risk factors and causes; Second chapter: Prevention; Third chapter: Diagnosis; Fourth chapter: Treatment. 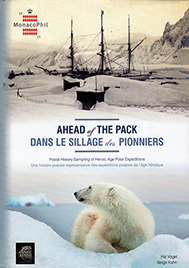 Brief description in English This book shows for the first time a representation of philatelic material from all the polar expeditions of the Heroic Age with a known philatelic history. The Heroic Age is the name given to the initial phase of polar (Arctic and Antarctic) exploration (through 1923). Brief description in English Learn basic skills how to collect stamps properly. 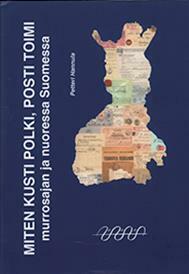 Brief description in English Concise guide how the postal services was organised in Finland 1881-1943. 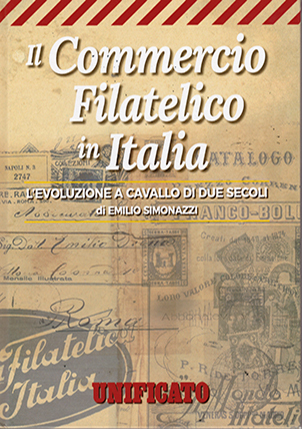 Titolo in inglese / Title in English Philatelic trade in Italy - The evolution over two centuries. 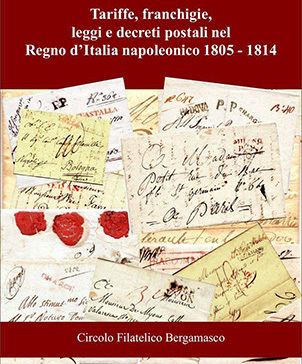 Brief description in English For the first time the history of the philatelic trade in Italy is reconstructed since the earliest years of the Kingdom of Italy until the 1970s. 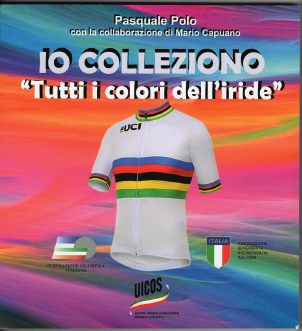 Brief description in English The work presents the history of world cycling championships by means of stamps, postmarks, postcards, medals, badges, autographs, photos, tickets, newspapers, figurines, jerseys. 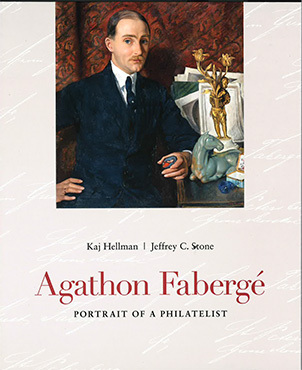 Brief description in English Agathon Fabergé was one of the greatest philatelic collectors and scholars of the twentieth century. Access to previously unknown archival and other sources have been drawn upon to paint a portrait of a lifetime of philatelic studies and to compile a major contribution to the history of philately. 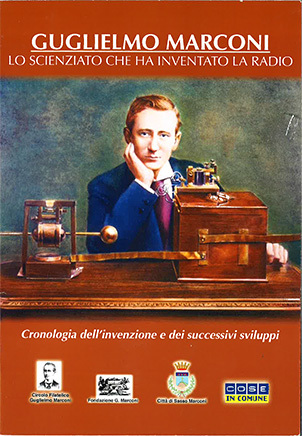 Brief description in English The publication presents the history of the invention of radio from the first wireless experiments at Villa Griffone in 1895 up to the researches on microwaves that Marconi conducted in his last years. 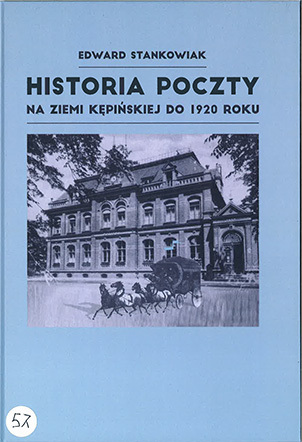 Brief description in English Postal history of the city of Kepno and the surrounding area until 1920. 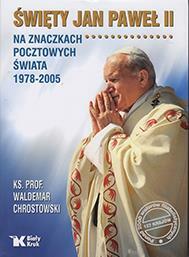 Brief description in English The book presents the full description (in Polish) and the colour reproduction of all the stamps, sheetlets and booklets about St. John Paul II, issued in the period 1978-2005. Brief description in English The publication is the next edition of the "Catalog of Collections" series. It presents the interesting and little known to the wider audience collections: postcards, letters or stamps of Polish prisoners, interned in a number of POW camps during World War II. Brief description in English This volume covers the whole history of the Holy Years of the Christian era, including both ordinary and extraordinary Jubilees. 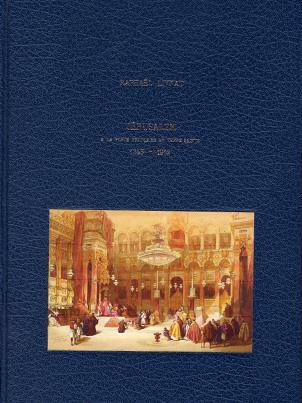 Every Jubilee described in the book is accompanied by a rich iconography in an intentionally philatelic style. 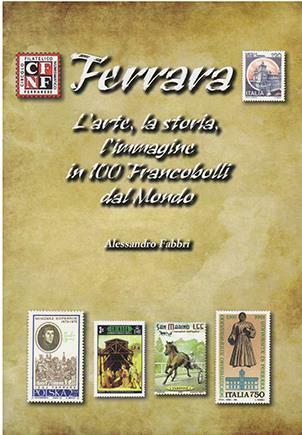 Brief description in English The publication considers the stamps issued all over the world that are directly or indirectly connected with the city of Ferrara and its territory. 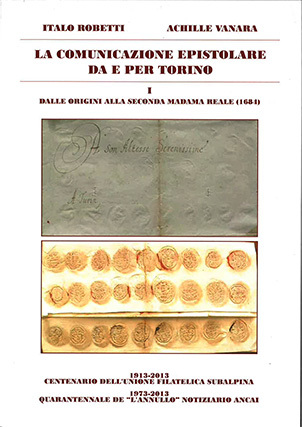 A description and a reproduction for each stamp is provided, along with the connection with Ferrara. An extensive bibliography closes the work. Titolo in inglese / Title in English Made in Italy - Wines with controlled and guaranteed denomination of origin. History and Philately. 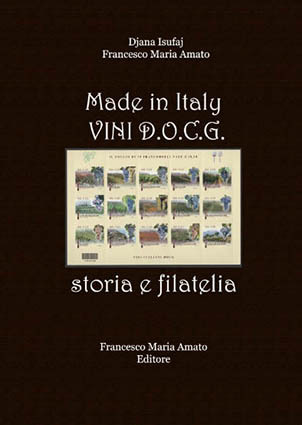 Brief description in English This book studies and analyses the set of stamps issued in Italy between 2012 and 2016 to celebrate the 73 wines “Made in Italy” with controlled and guaranteed denomination of origin. Titolo in lingua originale Thema 3.Reich. in Bildband und Erinnerungen. 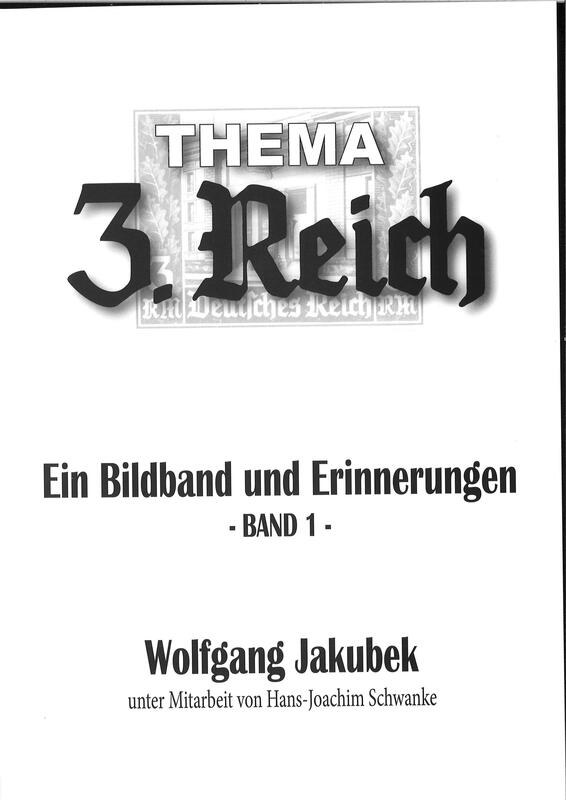 Titolo in inglese / Title in English Theme Thrid Reich. Memoire and an Illustrated Handbook. Brief description in English The topic are proofs and essays of the Vienna Staatsdruckerei between 1938 and1945. Memoirs of the author - beginning in 1936 and ending in Berlin in the early years after WW II, introduce graphic artists, the "making of..." postage stamps, people involved in the printing and the circumstances. Brief description in English The Volume describes 25 years of the history of the club. Brief description in English The detailed research of philatelic material postmarked on board of the Internatioanl Space station and regarded to the birth of the first son of UK prince William and Catherine Middleton (the duchess of Cambridge). 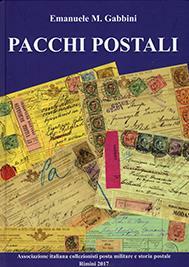 Brief description in English The Sicily of 1859-1861 told through postal history and Ippolito Nievo letters. 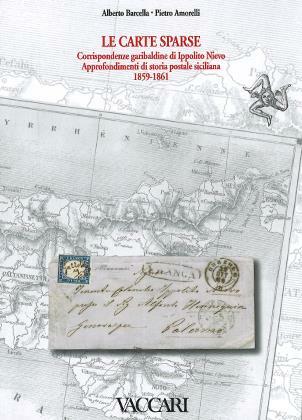 Some insights into an extraordinary period, with gattopardesche atmospheres, which preceded the unity of Italy on the island, analysing the effects of revolution on the postal system and the correspondence. 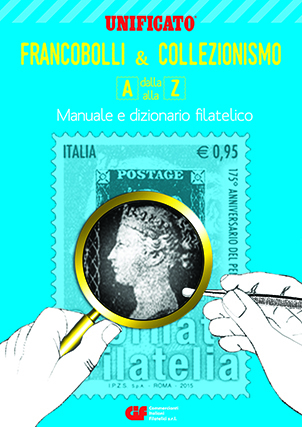 Brief description in English Philatelic handbook and dictionary. Brief description in English The large gold awarded collection incl. a biography of the collector, an introduction to the collection field, a list of awards and an index of the collection. Brief description in English The champion of champion and Grand prix awarded collection incl. a biography of the collector, an introduction to the collection field, a list of awards and an index of the collection. 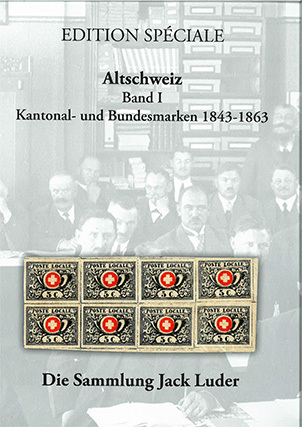 Brief description in English The extensive and qualitively high-end collection of stamps, cancellations and covers of federal Switzerland 1850 to 1854 incl. a biography of the collector Jack Luder and company Corinphila from 1957 onward. 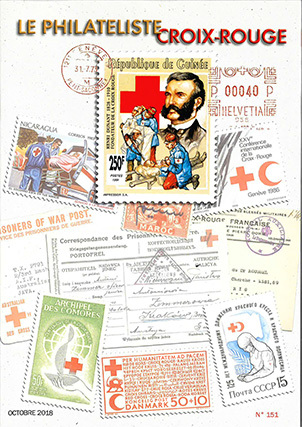 Brief description in English The extensive and qualitively high-end collection of stamps, cancellations and covers of the swiss cantonals to the issues sitting and standing helvetia incl. a biography of the collector jack luder and company corinphila from 1919 to 1956. Brief description in English The booklet describes from a thematic perspective several cases of franchise privileges granted to institutions, individuals or during particular events such as natural disasters and wars. Besides, it illustrates how to present and describe items with postal franchise or exemptions in thematic exhibits. This is the third booklet of a set. Brief description in English The Far West, the gold rush, the pioneers, the railway and the telegraph. In those years pony express means a postal service that is legend. A venture made possible by brave young people chosen as "better orphans". The book tells the story of this venture, of the men who built it and its long path. 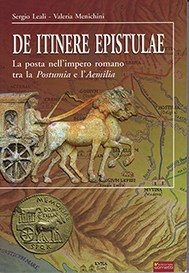 Brief description in English "De itinere epistulae" proposes a trip throughout the 2000-year-old roman roads to the discovery of a great road network that crossed the Po valley between Via Postumia and Via Emilia: postal service, means of transport, coinage and exchange goods, emperors and the protagonists of a great story. 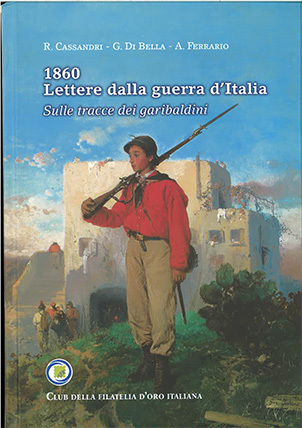 Brief description in English The battle held on 29 May 1848 in Curtatone and Montanara and the historical-postal events of the intervention of the Tuscan-Neapolitan troops. In the appendix various topics such as firearms, flags, uniforms and celebratory poems. Illustrations of documents, letters, prints, maps, drawings. 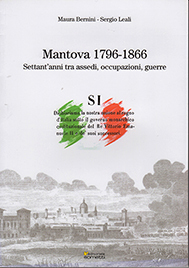 Brief description in English Historical events and postal history that occurred in Mantua since 1796, the year of the French siege, until 1866 when it became part of the Kingdom of Italy. Everything is illustrated with documents, letters, prints, maps, drawings. 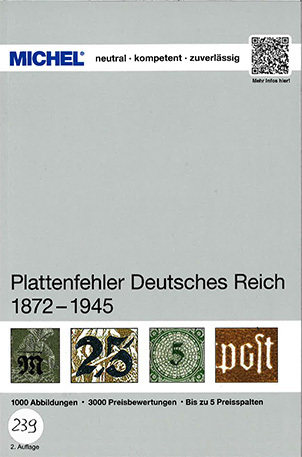 Brief description in English The second part of the collection of covers from the German States to abroad, comprising Prussia, Saxony, Hanover, the North German Federation and Alsace-Loraine. 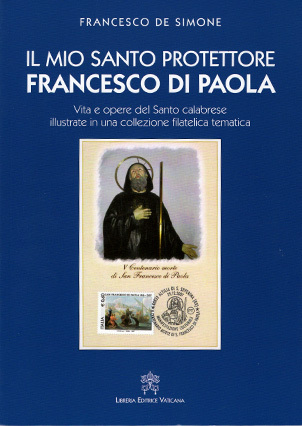 Brief description in English Thematic collection illustrating life, works and devotion concerning the calabrian saint Francesco di Paola. 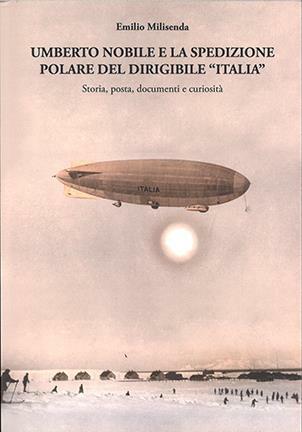 Brief description in English The book tells the chronicle of the second polar expedition by Nobile and the events occurred during the phases of the expedition of the airship Italia: since the planning of the venture to the flight above the North Pole, the crash over the pack, the rescue of some of the crew, and finally the return of the survivors. 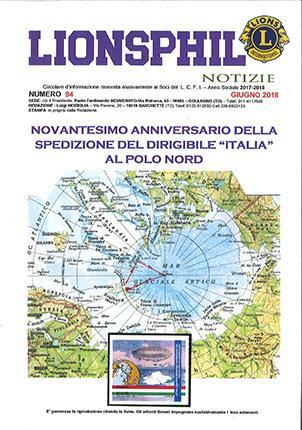 Brief description in English Special issue of the magazine "L'Annullo": 88 pages, all colour illustrated. Studies, articles, news on postmarks, spanning forgeries, special cancels and postage meter stamps. Brief description in English The book reproduces over 400 letters, analyzing the covers and their content: thus, it becomes not only a study of rates and routes, but also a historical narration of events from the words of the senders. A proposal to collectors for a new way to study letters. 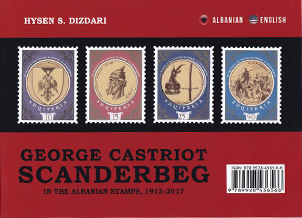 Brief description in English The book encompasses three historical epochs, more than one century, and it describes how Scanderbeg, a great personality, was represented in Albanian stamps. Scanderbeg is depicted in all his grandeur and his representation is attained through high artistic skills by famous Albanian and foreign painters. Brief description in English Our marine flora and fauna is made up of 156 different types of algae and marine plants, with 313 species and subspecies of fish and other marine species, of which some are endemic to our marine waters. Brief description in English Francesco Taxis, born in Cornello in 1459, is the most enterprising and forward-thinking character of the Taxis family. 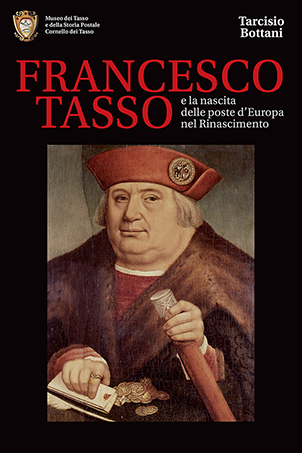 Agreements with the Habsburgs in 1501, 1505 and 1516 allowed Francesco and his descendants to organize and manage until 1867 the most important postal routes in Europe. 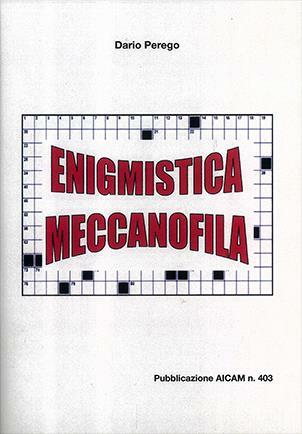 Brief description in English Very peculiar and funny volume where meter stamps are used to solve various enigmatography games and puzzles, all created by the author. 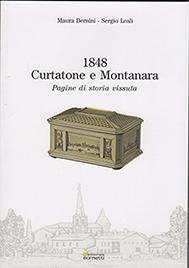 Brief description in English This volume, all colour illustrated, presents a collection about all the municipalities that overlook the Lake Garda, by means of their meter stamps along with postcards and reproductions of posters and vintage material. With 67 illustrations of meter stamps. 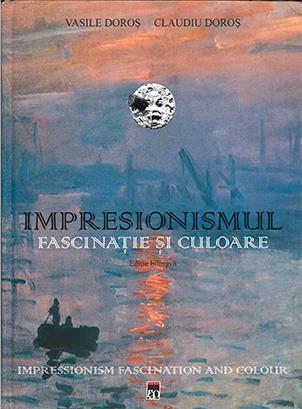 Brief description in English This volume, all colour illustrated, presents the homonymous collection prepared for the 2016 Aicam exibition held in Trieste. 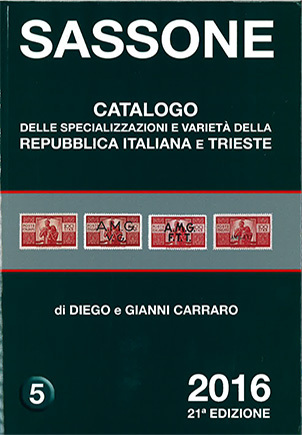 It provides an overview of the socio-economic history of Trieste over the last 80 years through almost a hundred red meter stamps, many postcards and other vintage material. 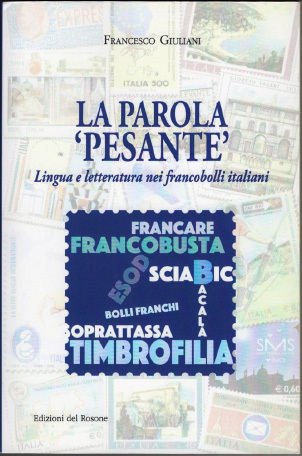 Brief description in English The book examines the words used in the Italian postage stamps from 1850 until today, focusing on the origin of the word "francobollo" (postage stamp), on particular choices and errors. 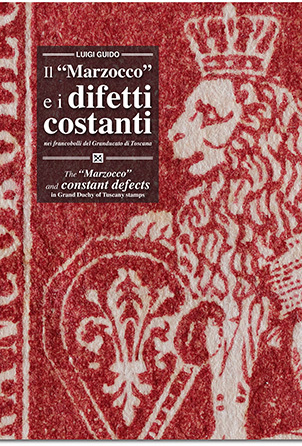 This work shows that the words on stamps are an extraordinary mirror of the Italian culture and history. Brief description in English The work is presented in the form of an artistic album created by means of maximum cards and partially maps. 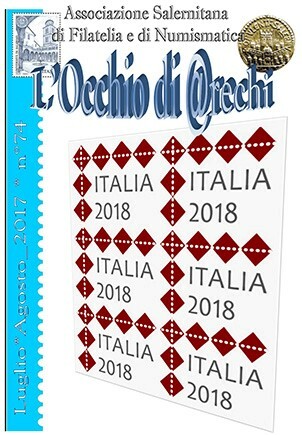 Maximum cards were realised with postage stamps of 50 countries from all over the world: the dates of the issue of the postage stamps and the names of the firms that published the postcards are mentioned. 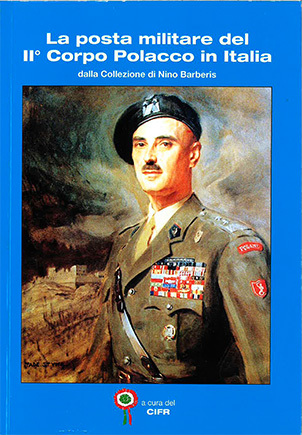 Brief description in English Reprint of the collections by Nino Barberis regarding the 2nd Polish Army in Italy during WW2. 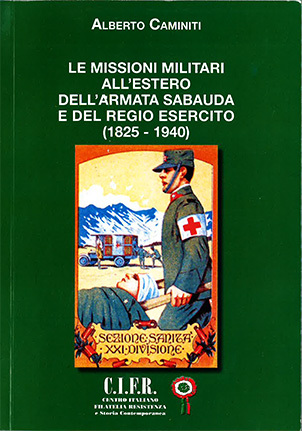 Brief description in English Overview of all the military operations abroad of the Royal Italian Army from 1825 to 1940. Brief description in English Since the beginning of the 16th century, during the summer months, the postal service was carried out by the galleys, grouped in “mudas”. The itinerary of the couriers going overland was different. They used to arrive at a port on the Adriatic sea (initially it was Ragusa) after travelling across the Balkans. 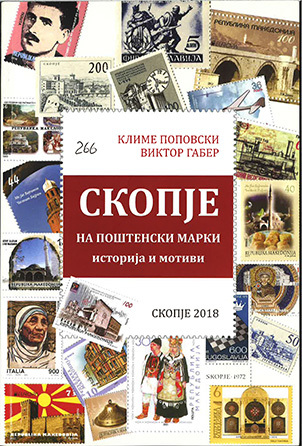 Brief description in English Surely the first ever Croatian handbook for beginners and youngsters which provides basic information about philately, types and forms of stamps, as well as the history of mail communication before stamps were born. The book is addressed to schools and freely distributed. Brief description in English We will learn the matter that men’s hands work, and the produce that their brain and labour can grow from the earth. Brief description in English Novalis 2017. 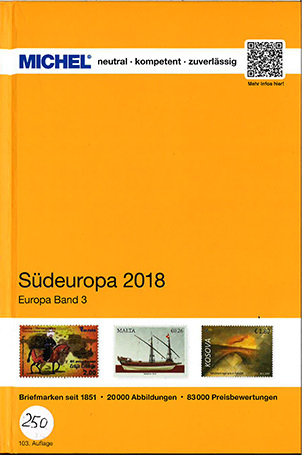 The one-off publication on the occasion of the national exhibition of modern and contemporary traditional philately, classical and diachronic postal history, postal stationery and fiscal philately. 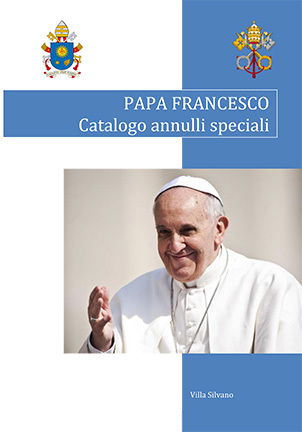 Brief description in English Worldide catalogue of the special cancellations about Pope Francis. Brief description in English The volume gathers the reports presented at the conference. Brief description in English History of the reunification of Italy. 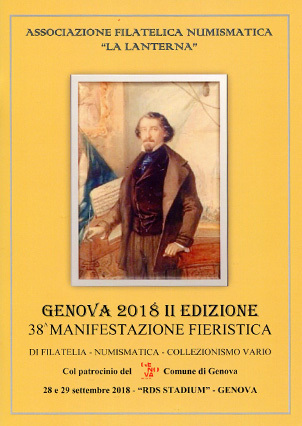 Brief description in English Special publication, issued by the Genoese Philatelic society "La Lanterna", on the occasion of "Genova 2018 - II Round" meeting: it deals with Michele Novaro, a Genoese musician who was the author of the Italian national anthem. 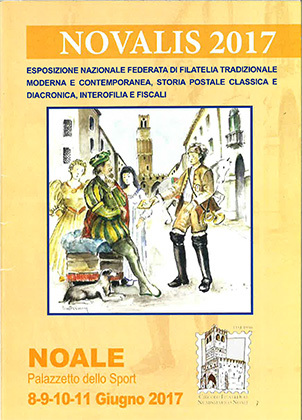 Brief description in English This book in dedicated to young philatelists as a basic information for there engagement in this world's most popular hobby. 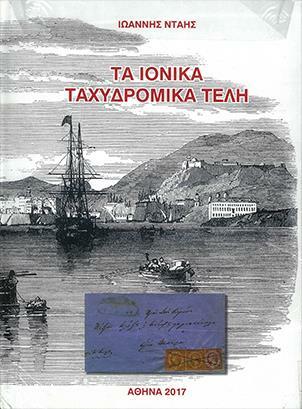 Brief description in English This be-language monograph is the first book of this kind in Republic of Macedonia published for educational, touristic and promotional philatelist purposes. The monograph is widely distributed in high schools and libraries of this Republic. Brief description in English From camp post to censorship letters, this exhaustive work by collector Claus Geissler gives a unique overview of the postal system used by concentration camps under National Socialism. His collection illustrates the cynical bureaucracy of the pen-pushers. 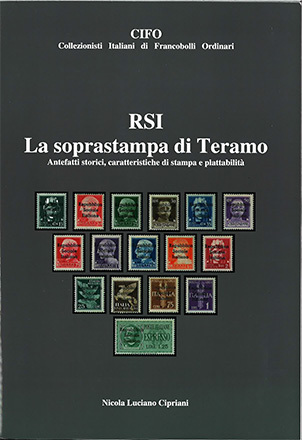 Brief description in English The catalogue lists all the stamps issued by the Italian Republic, considering essays, proofs, different printing runs, watermarks, perforations, paper and so on. 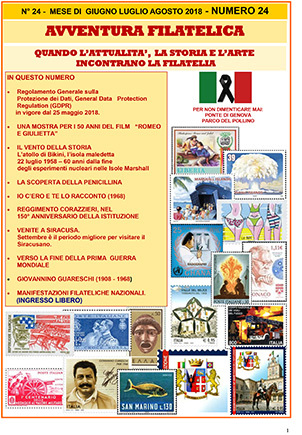 It also deals with the items created by Poste Italiane for philatelists. 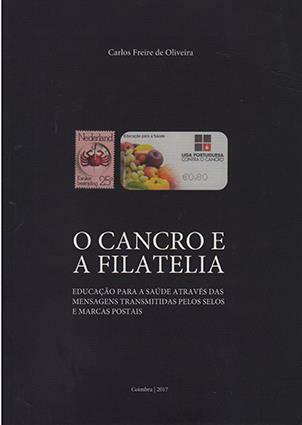 Titolo in lingua originale Catalogo dei francobolli del C.L.N. 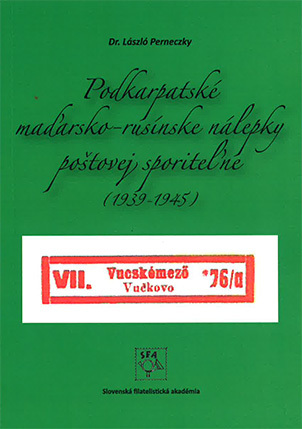 Brief description in English Catalogue of the stamps issued in 1945 and 1946 by National Liberation Committees. Brief description in English The catalogue describes this small, private postal service form the beginning to its sudden end in 2016. All stamps, postal stationaries and souvenirs-sheets issued by this postal service are listed chronologically. It is presented, too, a counterfeit after a long research. Brief description in English The catalogue presents in chronogical order the issues of the postage stamps intersecting them with postal history and the historical events that have characterized each period.The work is accompanied by a great number of illustrations,that make it easily comprensible all the collection of Albania. 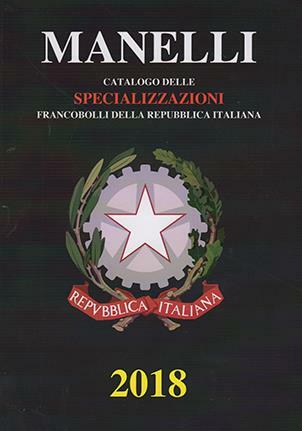 Brief description in English Complete catalogue of all issues of the Italian area, including Vatican City, San Marino, Smom, Triest and colonies. 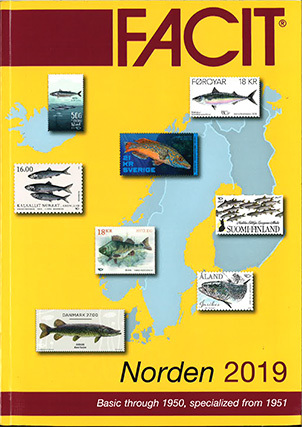 Brief description in English Specialized price catalogue covering the Nordic countries from 1951 and forwards. The catalogue also covering a basic part of the Nordic countries up to 1951. Swedish and English language. Brief description in English Specialized price catalogue covering the Nordic countries up to 1951. Swedish and English language. 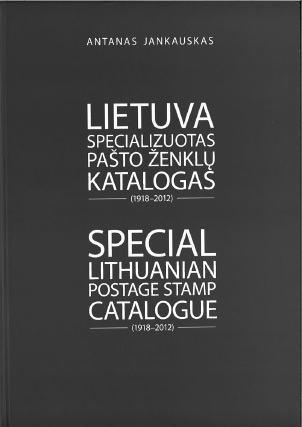 Brief description in English The catalogue is an essential reference that covers extensive studies on Lithuanian stamps (1918-2012), local issues (Telšiai, Gardinas/Grodno, Raseiniai, Varviškės/Warwiszki), Ober Ost period, Central Lithuania, Klaipėda/Memel region, WWII Occupation (“June” issues), and Ostland period. Brief description in English Contains stamps issued by the German Empire (1872-1945) MiNo. 1 to MiNo. 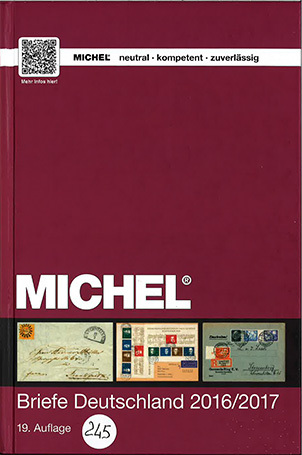 910, the plate flaws of which have already been recorded, including official and telegraph stamps as well as semi-officially airmail stamps based on the 2018 MICHEL Germany Specialized (Volume 1). 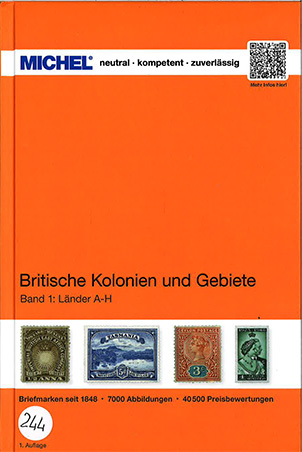 Brief description in English Great Britain 1840-2016, special listing of the Machin-Series, se-tenant coil strips, booklets, official stamps, postage due, postal fiscal, telegraph stamps, Guernsey up to 1969, Isle of Man up to 1971, Jersey up to 1969, England, Northern Ireland, Scotland + Wales, with postal stationery. 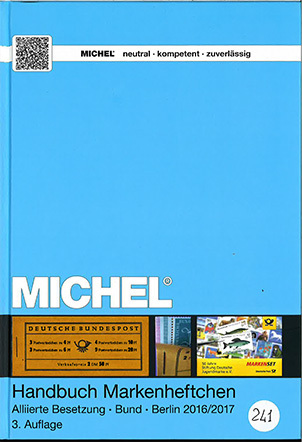 Brief description in English Stamp Booklets with subtypes, company order numbers, type variations, plate flaws, safety prints and much more. 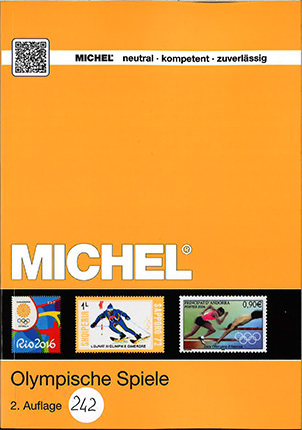 Brief description in English Stamp issues from all over the world on the subject Olympic Games. Brief description in English Cover valuation for the areas from the Old German States up to FRG including all areas listed in the MICHEL Germany. Brief description in English Zeppelin mail. Army and Navy airships, American airships, State treaty Post. Airmail with pioneer flights, first and opening flights of scheduled air mail traffic in Germany between 1919 and 1945; Airmail postmarks, semi-official flight and airmail stamps. German airmail stamps until 1945. Brief description in English Official postal stationery (envelopes, postal wrappers, card letters, postcards, etc.) 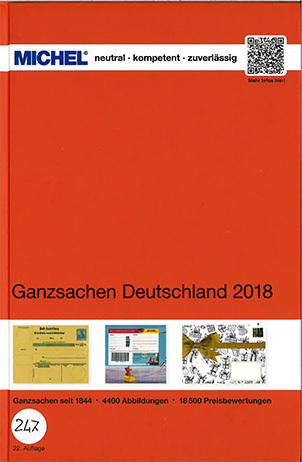 with printed postage stamps, including official stamps and those issued by authorities from all German areas, postal stationaries issued directly by the Deutsche Post AG DHL in its own responsibility. Brief description in English 1. Old Germany, Northern German Conf., Reich, foreign post offices, colonies, maritime mail, occupation issues of WW I + II, plebiscite areas, field post issues, official mail, war + propaganda forgeries, IRC and more. 2. Local issues, joint issues, the Allied Zones; GDR, Berlin, Saarland and more. Brief description in English Hawaii, Canada (British Colonies + Dominions), Confederate States of America, Panama Canal, St. Pierre + Miquelon, United States of America, UN New York. Brief description in English Albania, Bosnia and Herzegovina (all three postal administrations), Croatia, Fiume, Italy, Yugoslavia, Kosovo, Macedonia, Malta, Montenegro, San Marino, Serbia, Slovenia, Trieste, Vatican. 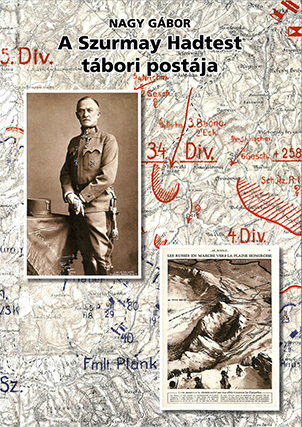 Brief description in English Austrian and Austro-Hungarian Empire, the Republic of Austri, appraisals of the issues of the German Reich from 1938 to 1945 and the postal system in the customs enclave, Lombardy and Veneto, the Crete, Levant, China and the DDSG, Bosnia Herzegovina, field post, extensive postal stationery section. 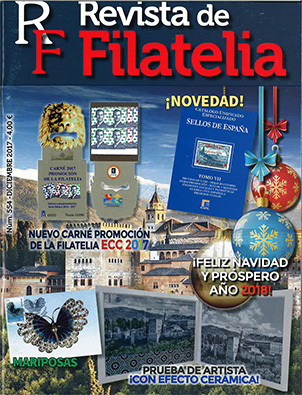 Partecipante / Exhibitor Edifil S.A.
Brief description in English EDIFIL Unified Catalogue Spain Stamps 2019. 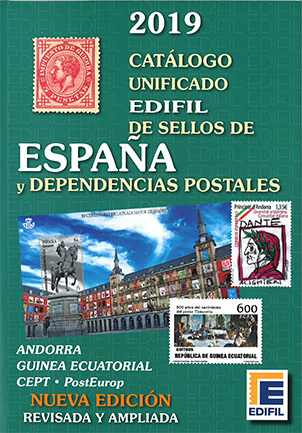 Brief description in English EDIFIL Unified Catalogue Spain Stamps and Dependences 2019. 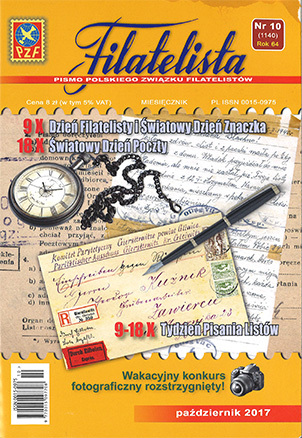 Brief description in English Filatelista is the oldest Polish philatelic magazine, published since 1954 by the Polish Philatelic Society and read by a large audience. 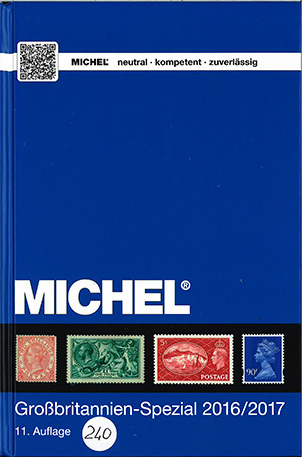 Its contents are articles by experts and famous philatelists dealing with discoveries, researches, postal history, stamp stories, philatelic events. There is an extra for children, too. Bilingual since 2016. 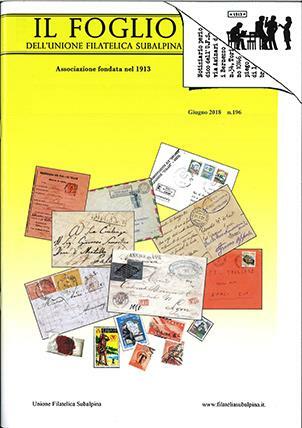 Brief description in English Biannual magazine about philately, postal history and epistolography, published by the Italian Academy of Philately and Postal History. Titolo in inglese / Title in English The Perforation Gauge - The Winged Wheel. 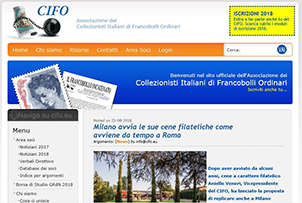 Brief description in English Newsletter by Afis - the Association of Italian Specialized Philately: it deals with varieties and specializations of stamps issued in the Italian area. Brief description in English The oldest polish Philatelic monthly since 1954 issued by Polish Philatelists Union. 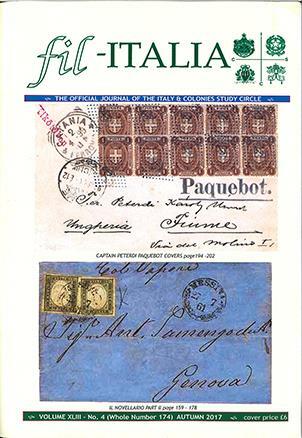 Conteins: experts’ and famous philatelists articles, discoveries, researches, Polish Post history, stamps stories. Important events in Poland and in the World. Supplement for children. Contents bilingual from 2016. 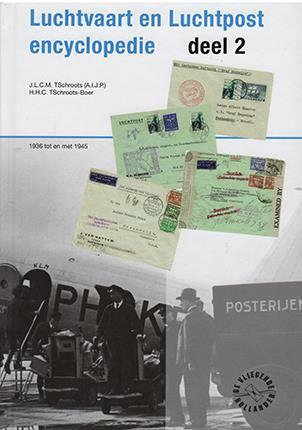 Brief description in English The only monthly philatelic magazine in The Netherlands. Issued since 1922. Partecipante / Exhibitor Arbeitsgemeinschaft Bayern (klassisch) im BDPh e.V. Brief description in English These biannual newsletters contain the results of the researches conducted by the members of the study group. In the newsletters all the fields of philately are covered, especially postal history, marcophily and social philately. A single issue has 120-150 pages. 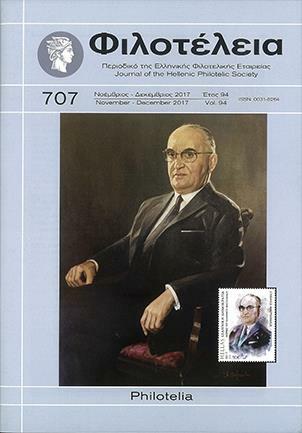 Brief description in English The Journal reports philatelic and numismatic papers, news about AFI meetings, conferences and sponsor communications. Brief description in English Digital journal, published as free PDF download, issued three times per year. The Middle East Philatelic Bulletin is a platform to publish research, reports, comments and enquiries on all aspects of Philately as well as related collecting areas concerned with countries of the wider Middle East. Brief description in English Magazine published 4-5 times per year, full color, 1,000 copies. 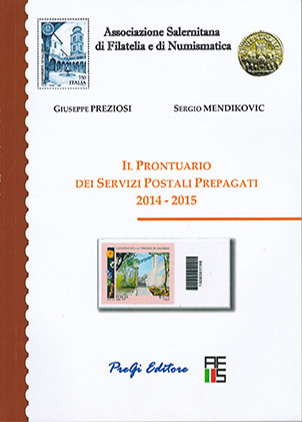 Free distribution to members and to the public during philatelic exhibitions. 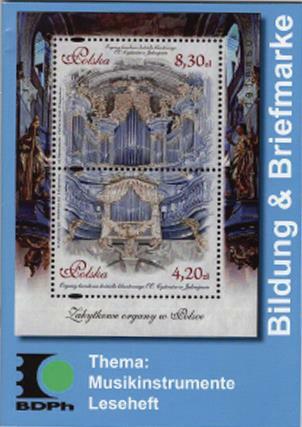 It regards the Thematic Philately: collecting, associations, organization, public. 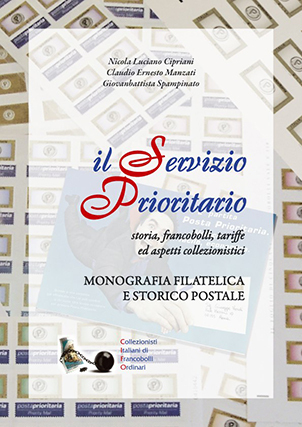 Brief description in English Montly magazine of new issues, philatelic cmmentaries, postal history and in-depth sections. 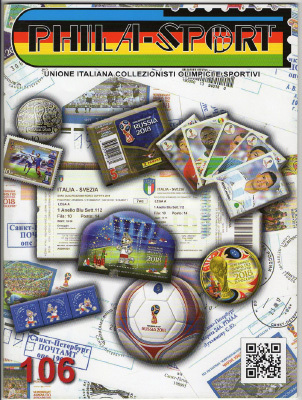 Brief description in English The quarterly, full-color magazine Phila-Sport is the official organ of Uicos and is aimed at fans of sport-olympic philately and sports collectors who want to follow what happens in the world thus establishing a direct link with international sports collecting. 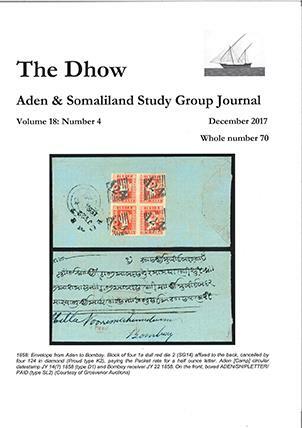 Brief description in English The journal of a study group for collectors of Aden, Yemen and the Somalilands (and their successors and antecedents). 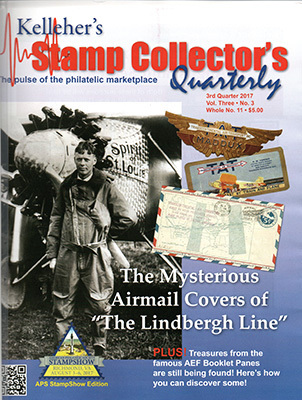 Includes philately and postal history, interesting items, new finds, and research articles by members. 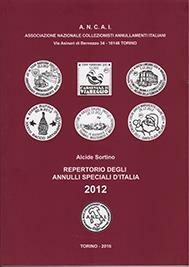 Brief description in English Six-monthly specialized in philately and postal history, first published in 1989. 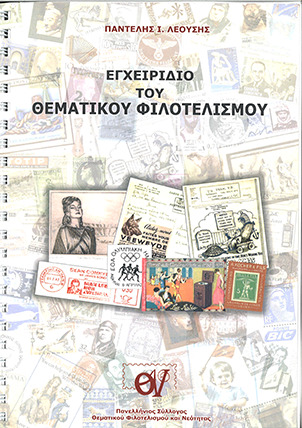 Since then, it presents articles about traditional philately, but also some “topical” themes, thanks to the cooperation of lovers and experts of the subject. Brief description in English Magazine with studies and researches. 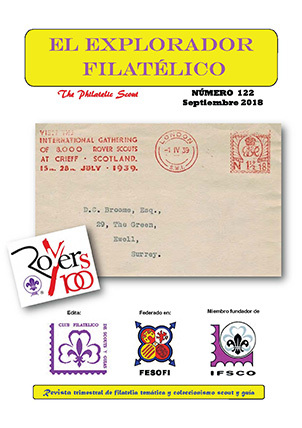 Brief description in English Social newsletter with philatelic articles philatelic news. 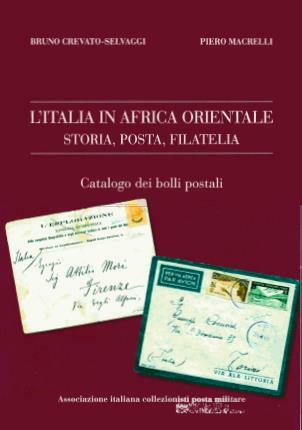 A chi richiederlo / How to request it Luigi Mobilia via Pavone 20 - 10010 banchette TO lmobiglia@hotmail.it. 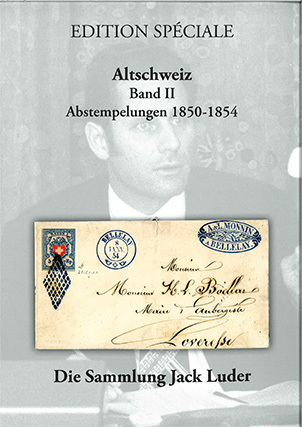 Brief description in English Magazine of the Subalpine Philatelic Union distributed exclusively to members and libraries. 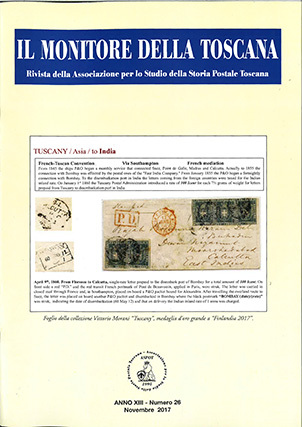 Technical articles on various topics, especially of Italian philately, and notes for members. Brief description in English This periodical is 71 years old and it is sent free of charge to the members of the federation. The journal is generalist: articles on any topic by several authors are published, as well as the news about the federation. 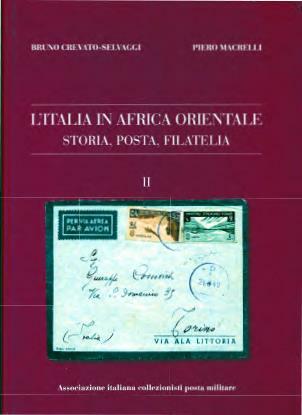 Brief description in English Fil-italia, now in its 44th year, is the journal of the italy and colonies study circle (i.c.s.c.). 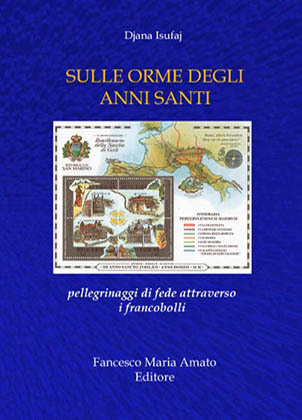 it is published quarterly and contains articles on the italian area, including the former colonies and british occupation of the same, vatican city, and san marino. 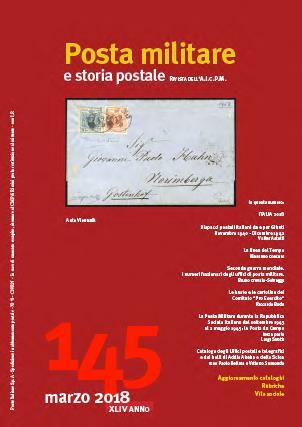 Brief description in English The magazine publishes articles about prephilately and postal history throughout the ages. 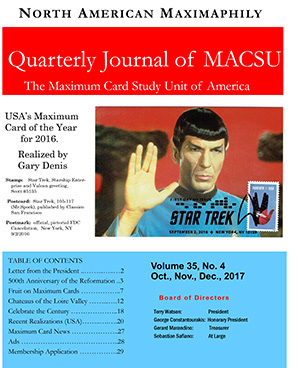 Brief description in English North American Maximaphily is a quarterly journal primarily featuring topical articles on US and Canadian maximum cards. Included are card critiques, recent realizations, and regular columns--all richly illustrated. 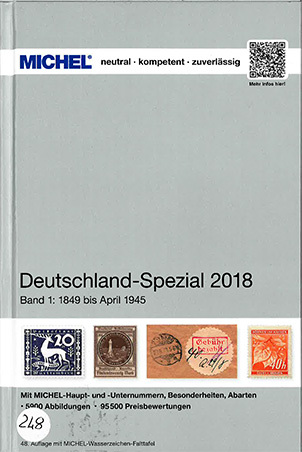 Brief description in English Magazine with studies, articles, news on postmarks, spanning forgeries, special cancels and postage meter stamps. Brief description in English Quarterly review of philatelic news. 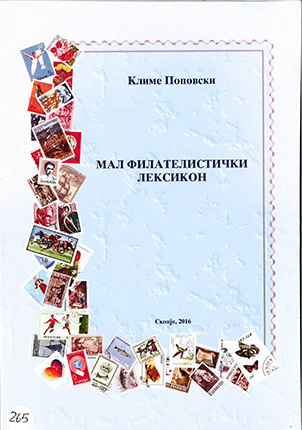 Catalogue of the new issues of the postage stamps of CIS countries. Brief description in English Bimonthly journal. 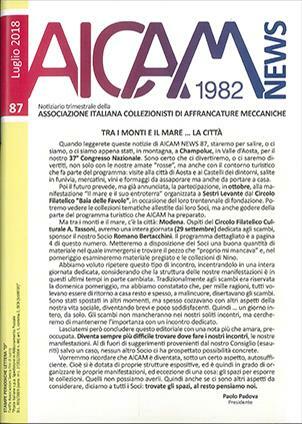 Brief description in English The magazine of the Aicpm, with various articles and Society's notes and news. 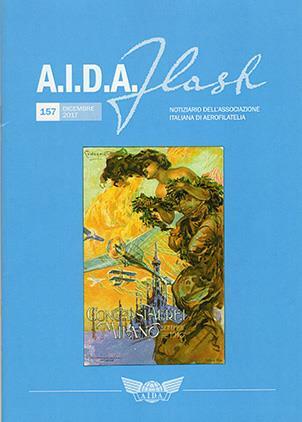 Brief description in English AIDA Flash is the official journal of Associazione Italiana di Aerofilatelia. 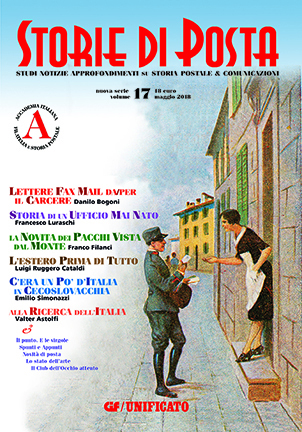 Brief description in English Magazine of the Associazione nazionale di storia postale siciliana. 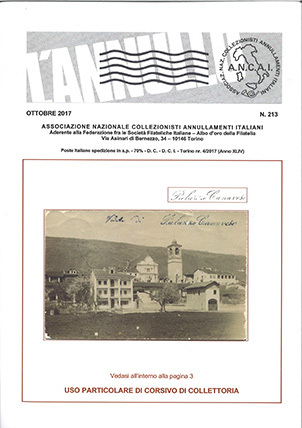 Brief description in English Aicam News is the official quarterly bulletin of the Italian Association of Meter Stamp Collectors. 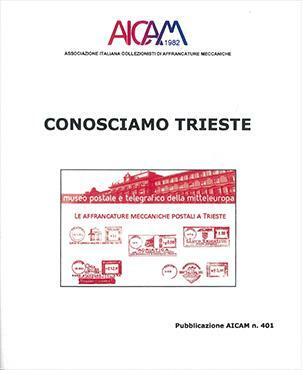 It provides news, articles, informative reports and specific studies about meter stamps from Italy and all over the world. Brief description in English Quarterly magazine with a description of the Mexican stamp issues. 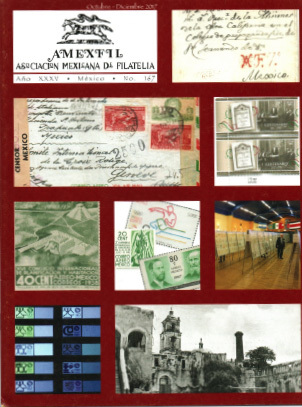 Articles with deep studies on Mexico: prephilately, classic stamp issues and revolutionary ones, definitive stamps. News from world and continental exhibitions. 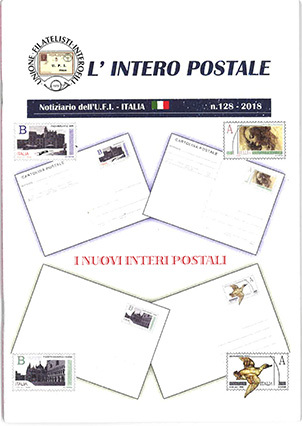 Brief description in English Biannual Newsletter of the Italian Postal Stationery Association. 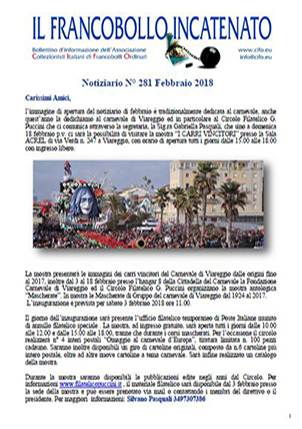 Brief description in English Online periodical newsletter of the Circolo Filatelico Bergamasco. 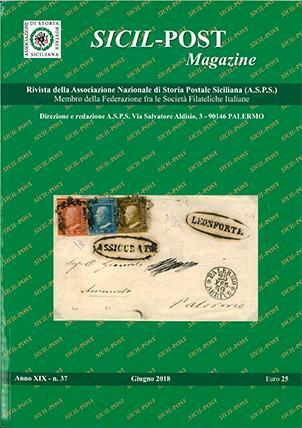 Brief description in English Newsletter of the Society, studies on postal history of Tuscany. 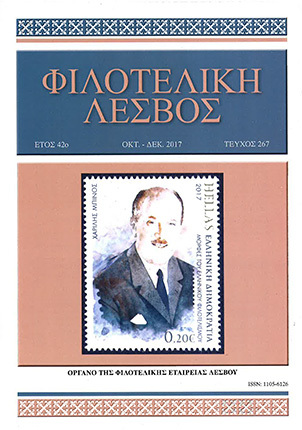 Brief description in English Quarterly journal of the Philatelic Society of Lesvos, Greece. Brief description in English I write my column Mastering Postal History with 3 objectives: Introduce stamp collectors to collecting covers & other postal artifacts; Educate experienced postal historians to a taxonomy to deconstruct & analyze covers; Acquaint historians with using covers as primary source documents for research. 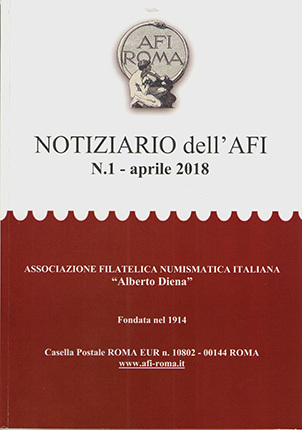 Brief description in English Bimonthly magazine of Associazione Salernitana di Filatelia e di Numismatica distribuited to members. 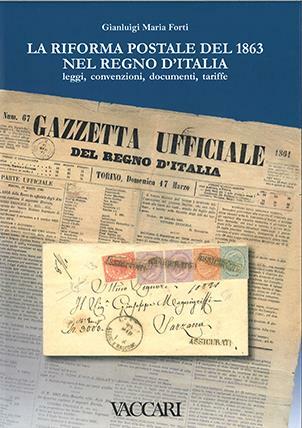 Articles on various topics, in particular italian philately and postal history. Brief description in English The publication contains original and detailed studies by CAF members about aerophilately and aeronautical history, for the purpose of promoting aerophilately. 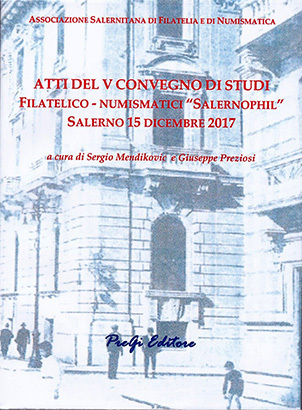 Brief description in English Philatelic and numismatic initiatives of the Veronafil exhibitions. Titolo in lingua originale Avventura Filatelica News Quando l\'attualità, la storia e l\'arte incontrano la filatelia. 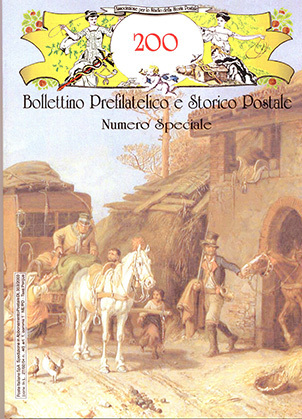 Titolo in inglese / Title in English Philatelic Adventure News. When current events, history and art meet philately. 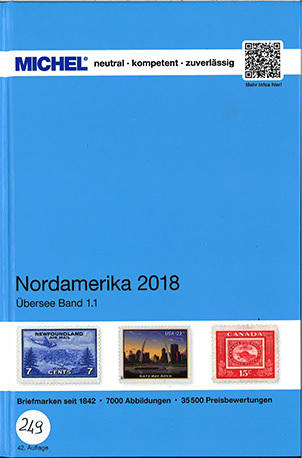 Brief description in English The newsletters are all related to current events, recurrences, events and events that have occurred in the world in these months taken into consideration at all times, presented through world philatelic. 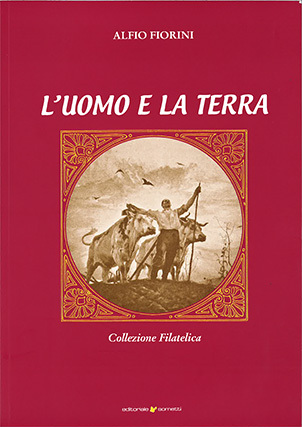 Titolo in lingua originale Notiziario A.I.M. 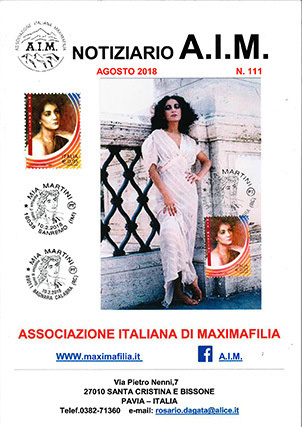 Brief description in English News and articles on Italian Maximaphily. 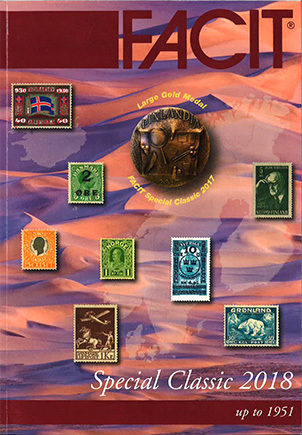 Brief description in English Philatelic Magazine. Brief description in English This is a 36 pages journal, published four times a year. It presents the main events of the club, as well as philatelic news and studies. 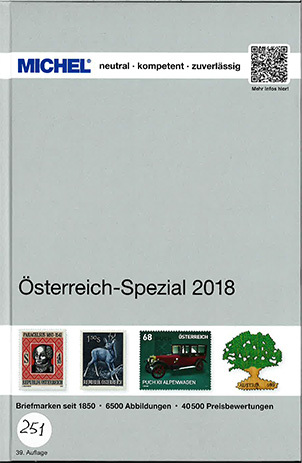 Brief description in English Quarterly magazine, started in june 1986, dedicated to philately and collectors specialized in scouting and guiding. free publication for club members. some of the usual sections: editorial,club`s life,without borders, dossier,thematic,new issues,scout-nautas,the quarter's piece,the scout postcard. 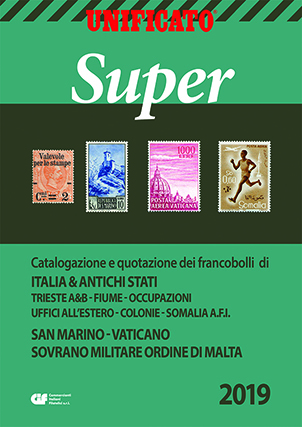 Brief description in English It deals with philatelic news, articles, research and new stamps issues. 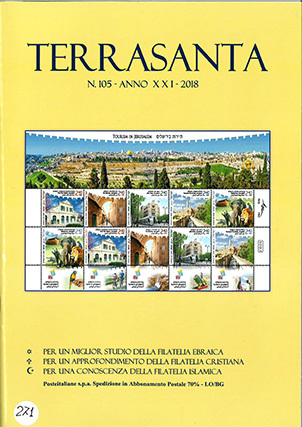 Brief description in English A topical philatelic periodical dealing mainly with religions and the history of the Near East. 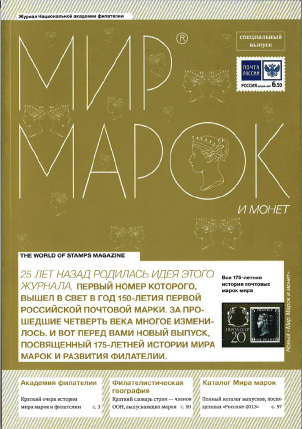 Brief description in English Website of the International Moldovan Philatelic Society (IMPS) and catalogue of the postage stamps and other philatelic materials of the Republic of Moldova. 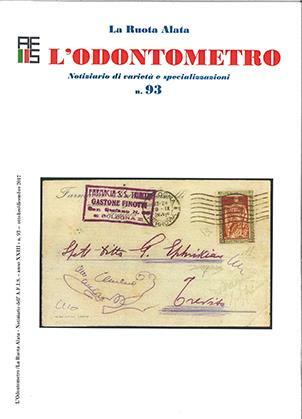 Titolo in inglese / Title in English Italian Association of Collectors of Definitive Stamps. Brief description in English The website of the Society. 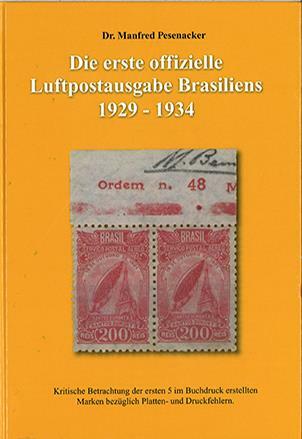 Brief description in English Catalog of Brazilian stamps with image and technical data of each stamp issued. Brief description in English Website for the promotion of youth philately in the UK including activities, downloads, news, competitions, how to collect and how to start a junior club. Brief description in English The website informs about postal war: postal measures against postage stamps for political propagandistic reasons. 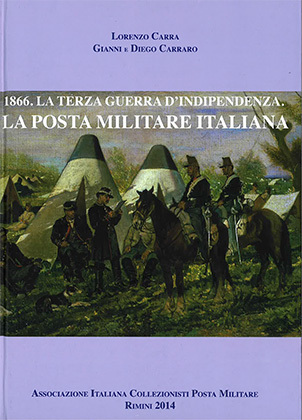 It is a digital studygroup and informs collectors about falsifications, literature, possible new postal wars and new items not yet in the specialised catalogue of postal war 1870-2008. Brief description in English The philatelist's house: articles, news, examples of this speciality of philately. Brief description in English The Australian Philatelic Federation (APF) supports organised philately in Australia. 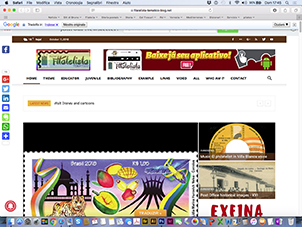 Its website contains information about the APF, Exhibitions & results, useful information for collectors, Exhibition paper, protectors, official Souvenirs, State Councils and clubs and more. 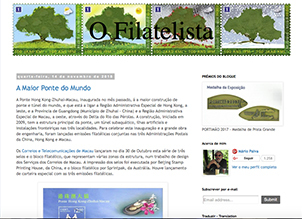 Brief description in English The main goal of the website is disseminating knowledge on philately. It includes published articles written by members or contributing authors. The website also offers a huge library of Polish philately papers, digitized after the author's approval and freely downloadable. 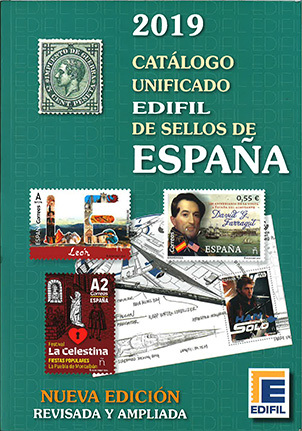 Brief description in English Catalogue of Spanish special postmarks. Brief description in English Spain stamp catalogue. Brief description in English The website shows the postal route passing through the Syro-Iraqi Great Desert. It presents, too, the postal rates, the route instructions and the forwarders’ marks. A historic background is considered, too. 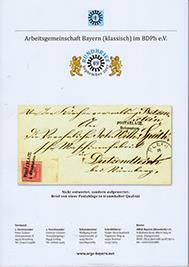 Brief description in English Online philatelic publication with daily news. Brief description in English This website is about representation of Paleontology in Philately, it contain images of all relevant stamps, FDC, postmarks and examples of circulated covers and postcards, as well as list of most recent and feature issues. Brief description in English A non for profit web site to help guide judges, collectors, dealers and auction house describers of all back of the book issues from Australia and its States. 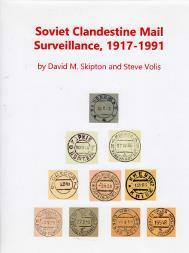 Brief description in English The only published work on both the Perfins and Commercial Security Overprints recorded on Australian Revenue Duty Stamps, including a rarity scale & company histories. Updated monthly. Brief description in English The web site of the Biology Unit of the American Topical Association. Publishes the current journal, and two back issues that are password protected. Archives are open to the public. Information about officersis provided. Brief description in English The article describes the lay out of the high value (rupee) sheets of Pakistan Overprint stamps from Nasik. Brief description in English This site introduces you to Romania, its original culture, its wonderful landscapes and its friendly people. 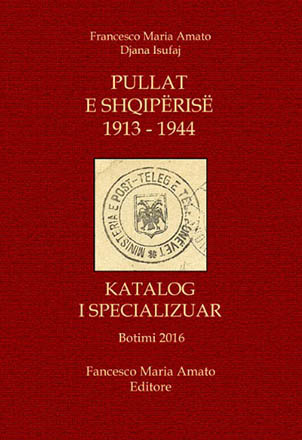 You will find pages dedicated to Romanian history, thematic collection, postal history and to many other subjects. Brief description in English This website presents the postal history items I collected, classified according to stamps, postal rate, postmarks (such as travelling post offices or special postmarks, for which there is not a web list so far). The site includes studies and bibliography. Brief description in English This website deals exclusively with the Marianne de Luquet (Marianne July 14). 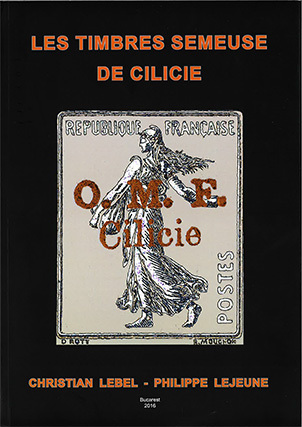 This was a definitive stamp, proposed by President Jacques Chirac, and used from 1997 to 2004. It crossed the passage from Franc to Euro. Brief description in English KZP is the biggest and the most popular site about Polish stamps. 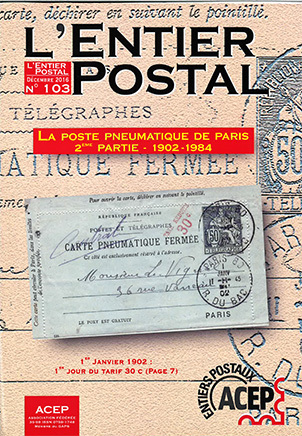 It is divided in two parts: announcements of new issues and a catalogue where all the stamps, postcards, cancels etc. are systematically listed. There is also a weekly free PDF bulletin available to subscribers. Brief description in English This website is dedicated to one French stamp: the red 0,50F Marianne de Béquet. This website is developed in three parts: a technical study, a study of the various presentations of the stamp (???) and a postal history study. Titolo in inglese / Title in English Phosphor bands and their varieties. 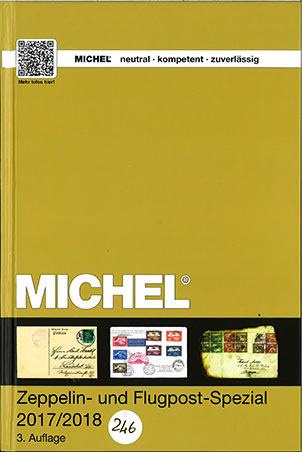 Brief description in English Study on the phosphor bands in French stamps. Brief description in English This website deals with the postal history of Manchukuo. Mail from this puppet state between 1932 and 1945 is considered. 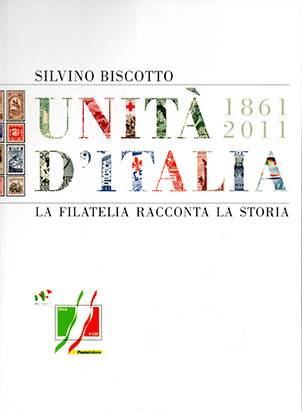 Brief description in English Founded in 1992 as Uifos (Italian union of Olympic and sport philatelists), because then only addressed to philatelists, a few years later it changed its name to Uicos to gather those who are interested in Olympic collectibles in a single organization. Brief description in English This website is an important tool for philatelist. It contains exceptional items from 1946 to nowadays. 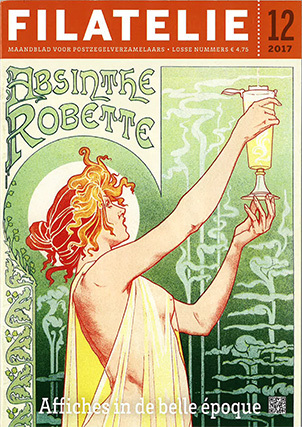 More than 6000 different items are listed, most of them being illustrated. Members may contribute to the completion of the catalogue. 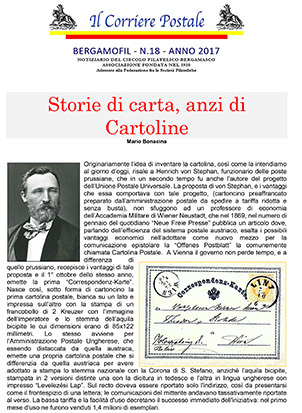 Brief description in English Philately, day by day on-line from 8 march 2003 completely free, «vaccari news - philately in real time» is the daily on-line service in italian by vaccari srl which proposes news relevant to the world of the post and philatelic collecting. Brief description in English E-commerce website. 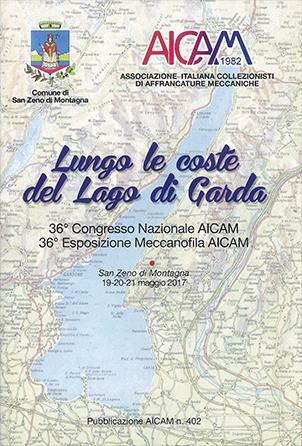 Brief description in English The website contains information about the Aicpm, its magazine, Exhibitions, auctions, exhibits, useful information for collectors and much more. Brief description in English Website devoted to the lovers of maximaphily. Brief description in English The site shows all the stamps and known cancellations issued in the world featuring Guglielmo Marconi and the invention of the radio. 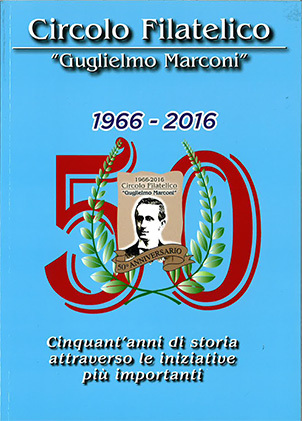 Also published: telephone cards, Marconigrams, shares of the Marconi Company, the publications of the Club and various curiosities on the subject.